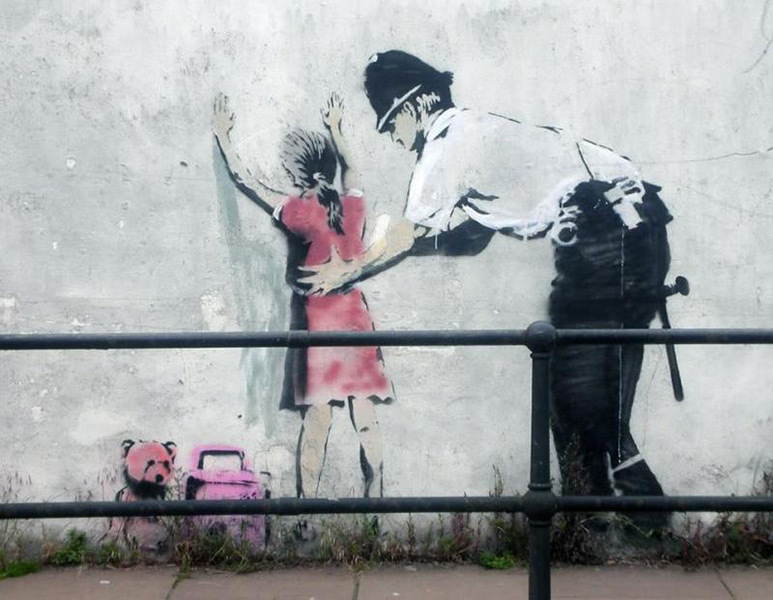 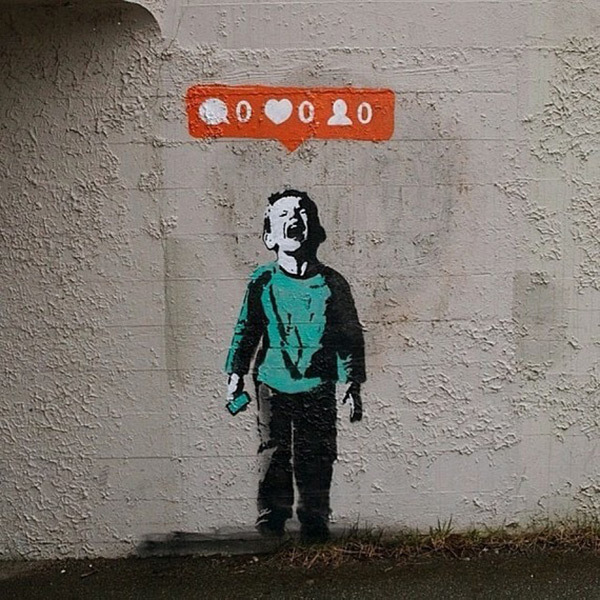 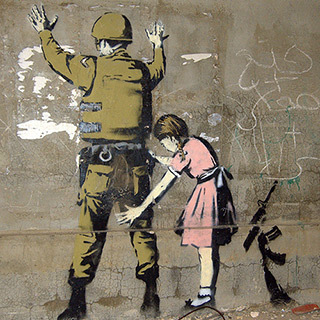 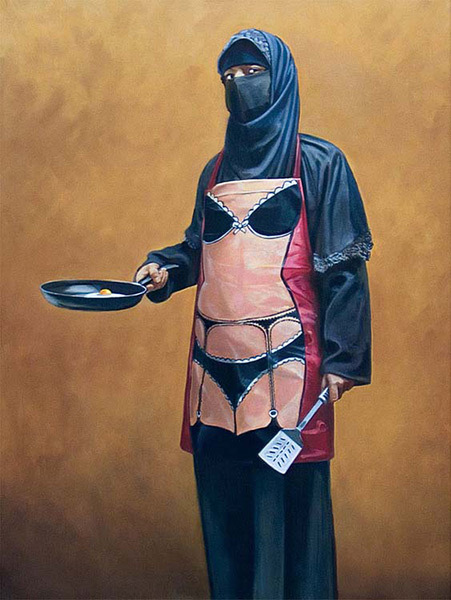 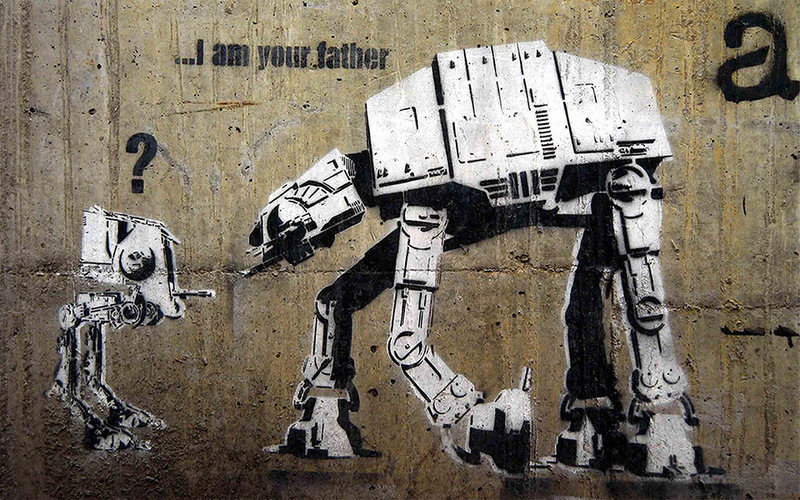 Banksy is an anonymous England-based graffiti artist, political activist and film director of unverified identity. 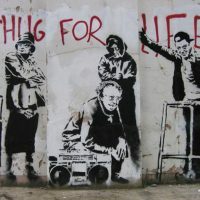 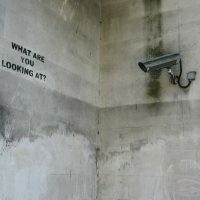 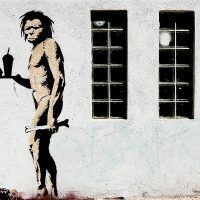 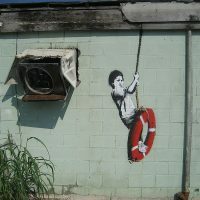 Their satirical street art and subversive epigrams combine dark humour with graffiti executed in a distinctive stenciling technique. 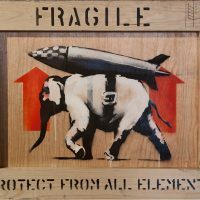 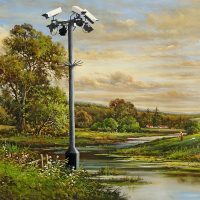 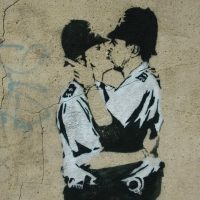 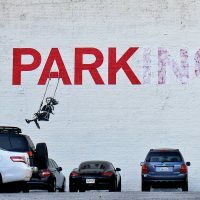 Banksy’s works of political and social commentary have been featured on streets, walls, and bridges of cities throughout the world. 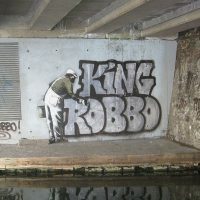 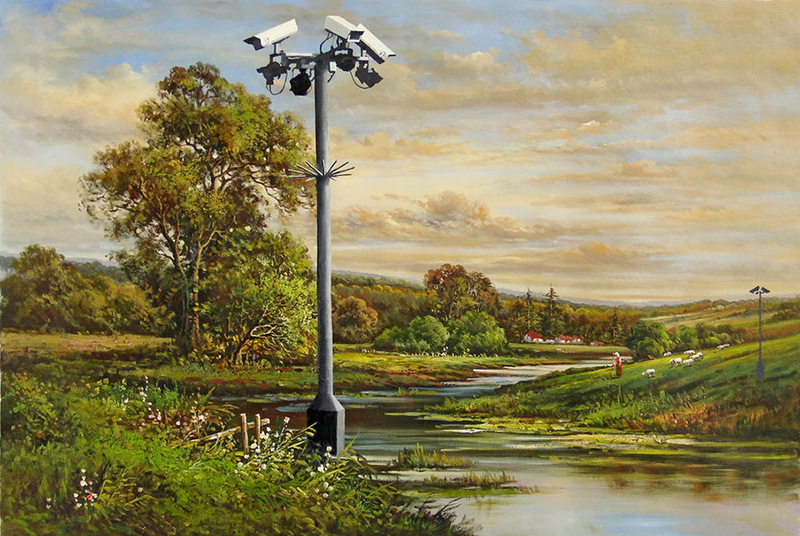 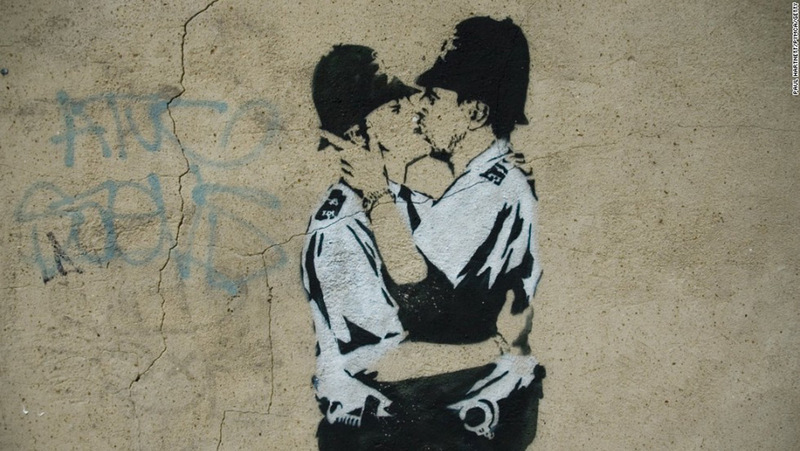 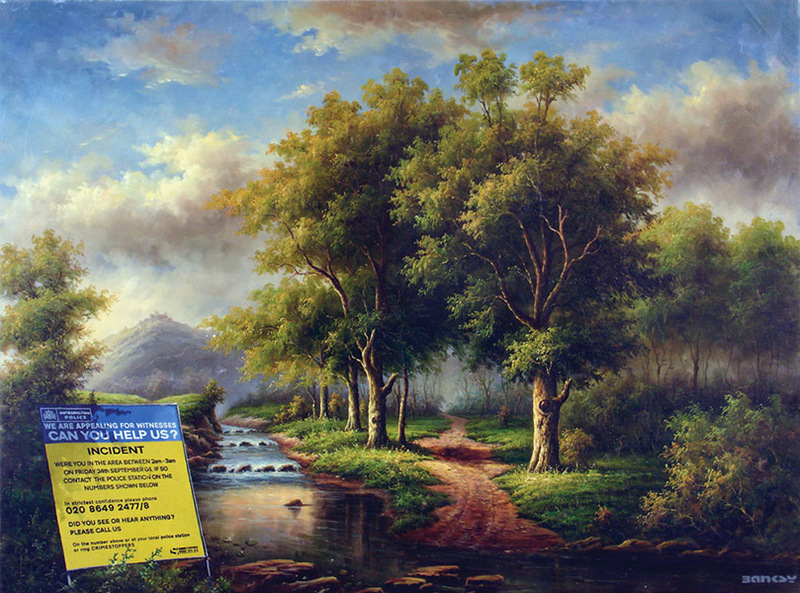 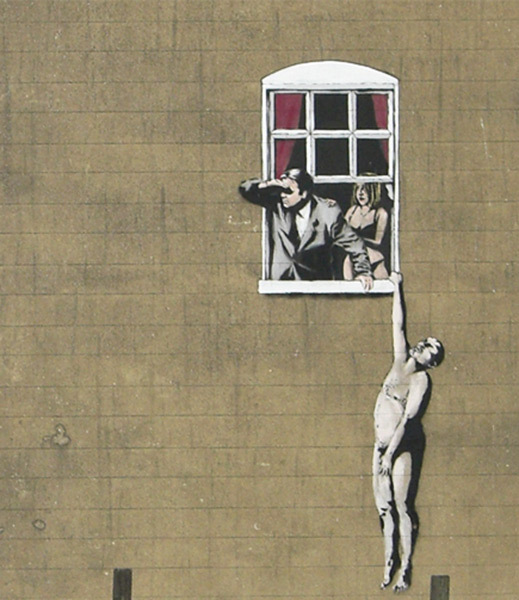 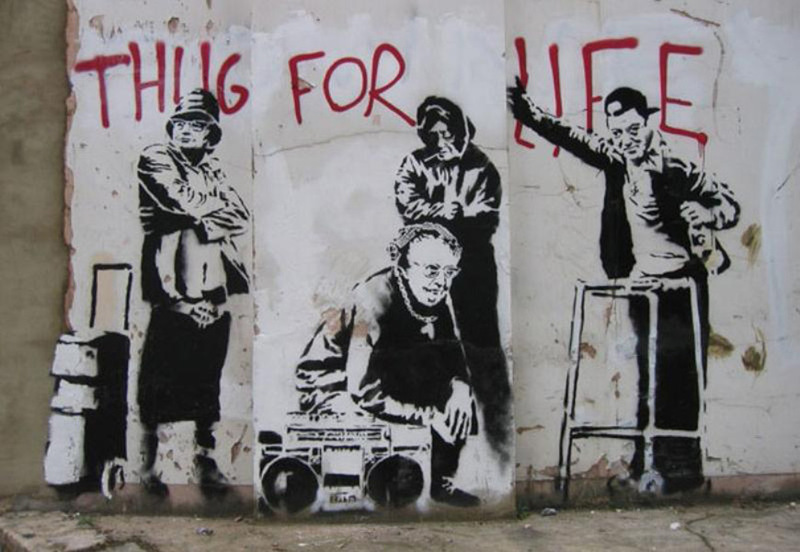 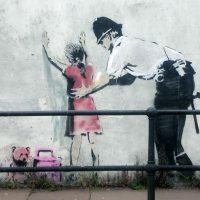 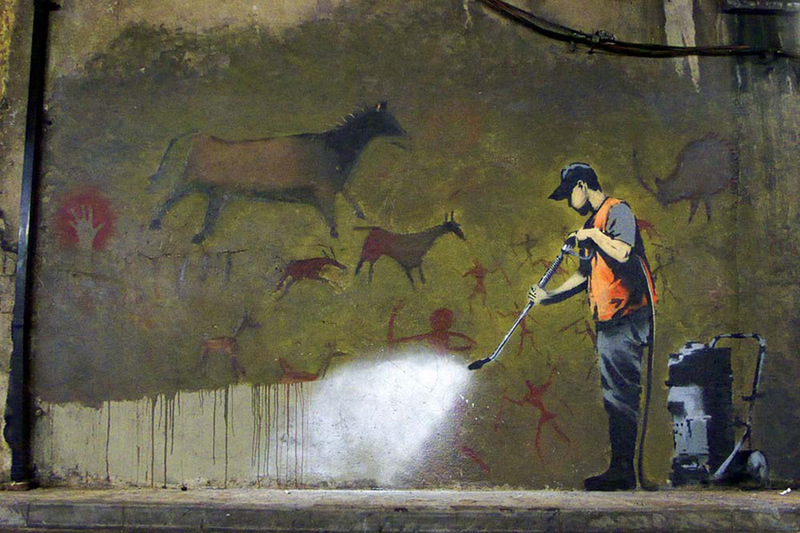 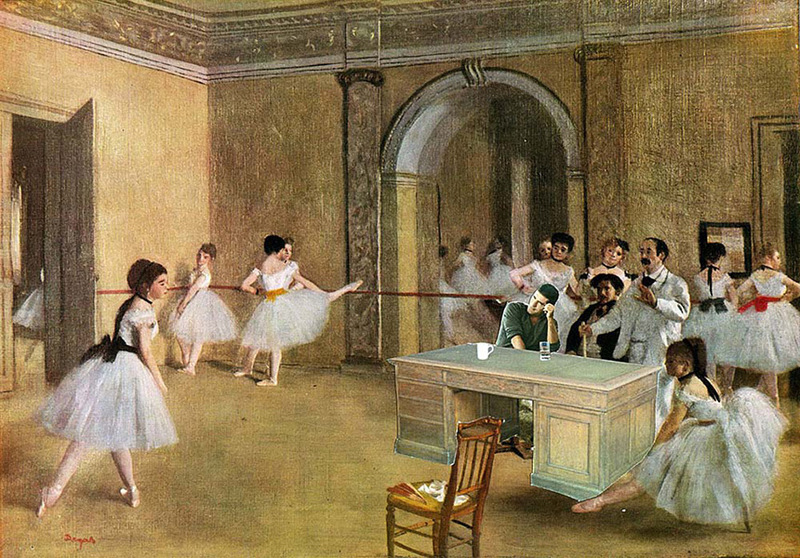 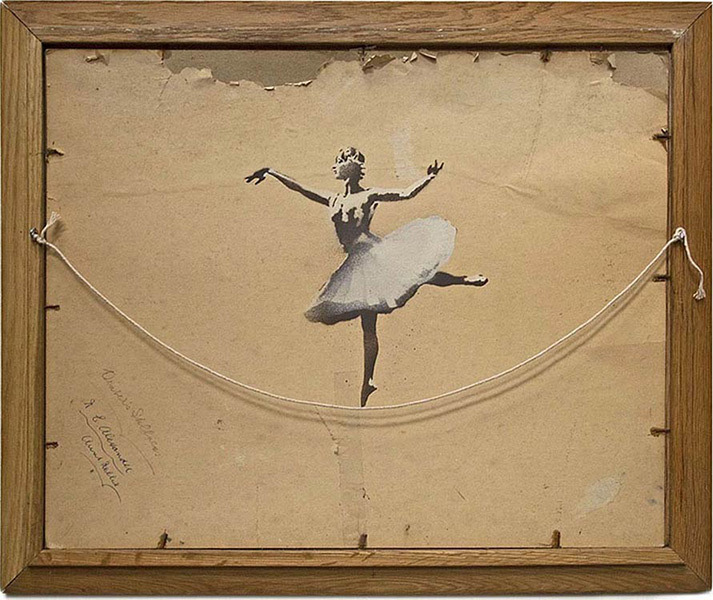 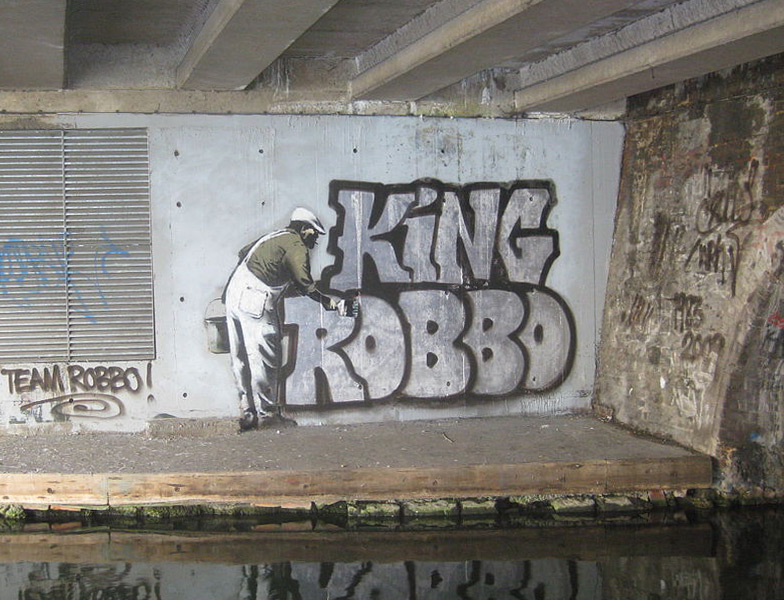 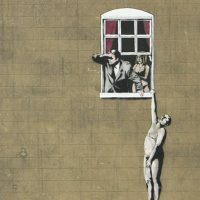 Banksy’s work grew out of the Bristol underground scene, which involved collaborations between artists and musicians. 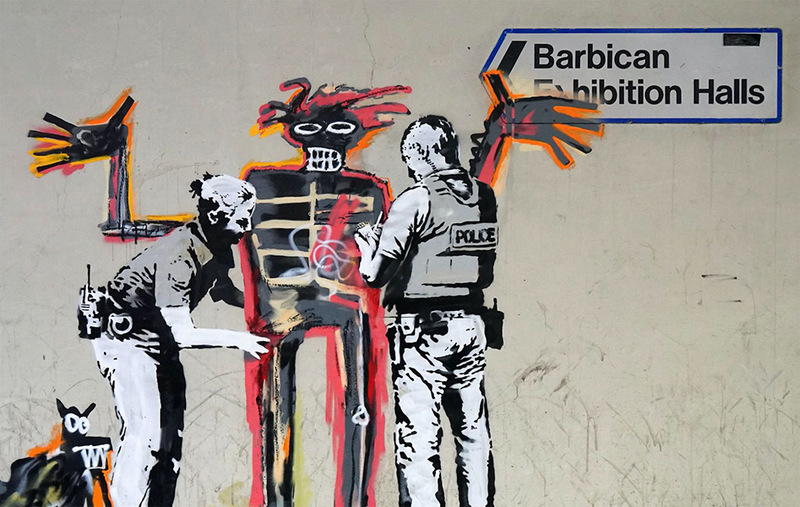 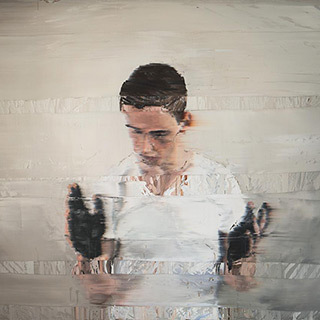 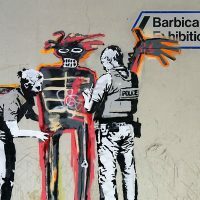 Banksy says that they were inspired by 3D, a graffiti artist who later became a founding member of the English musical group Massive Attack. 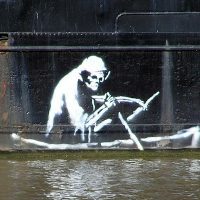 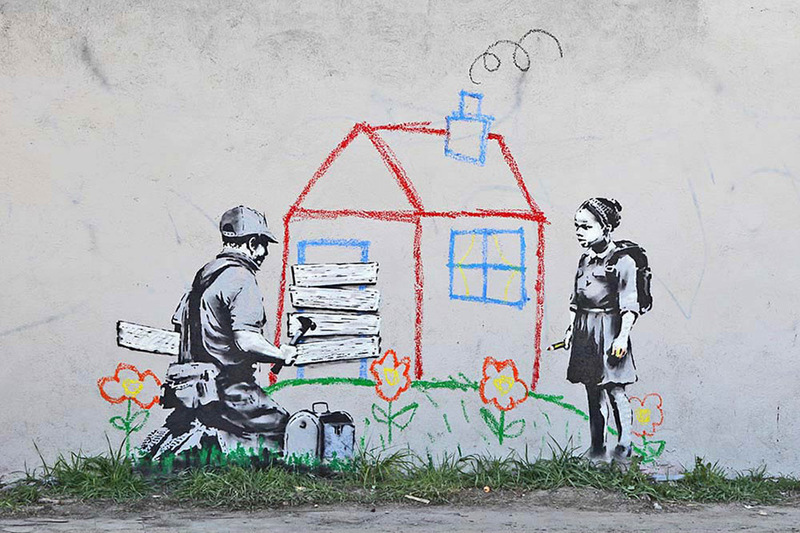 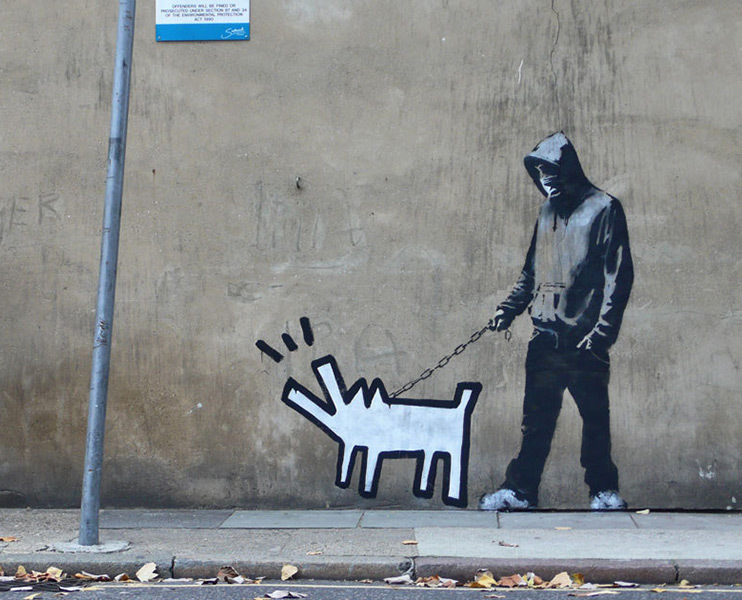 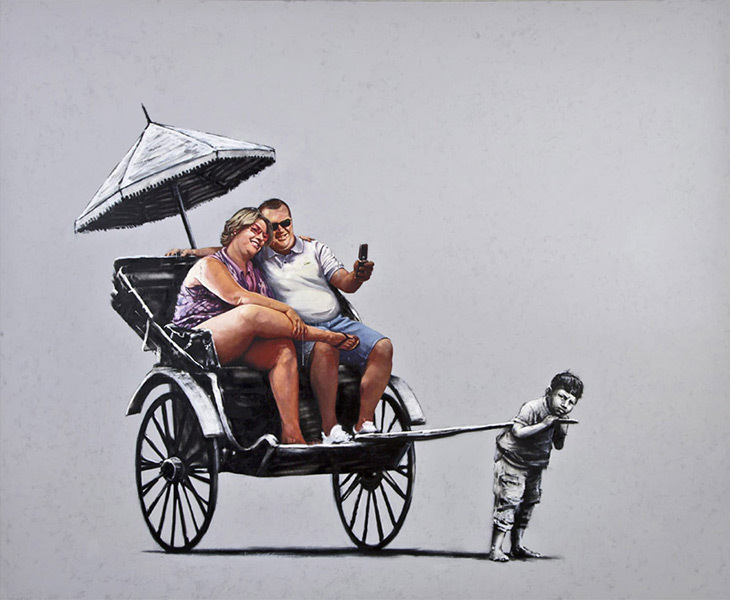 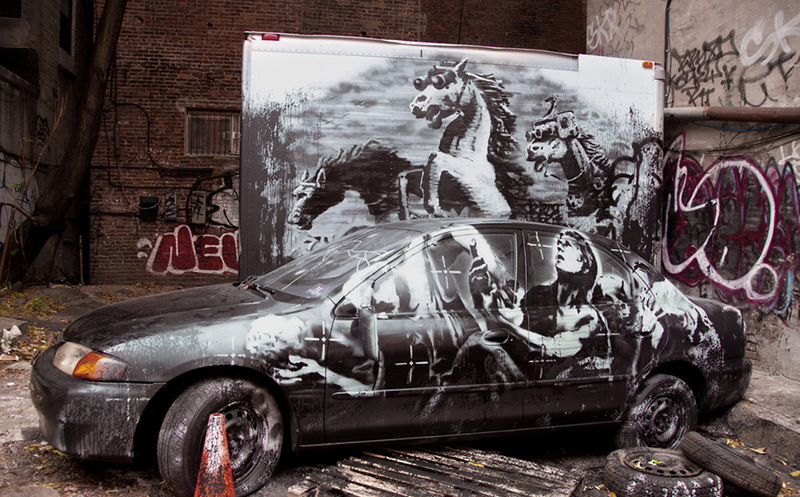 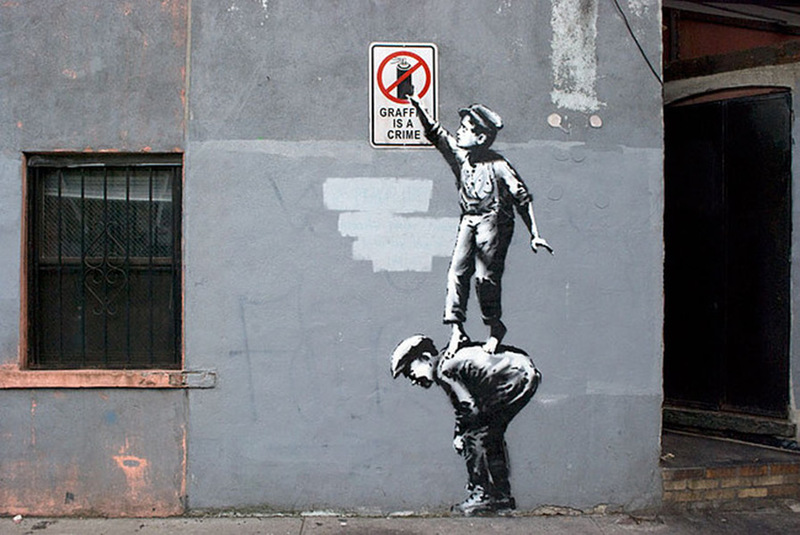 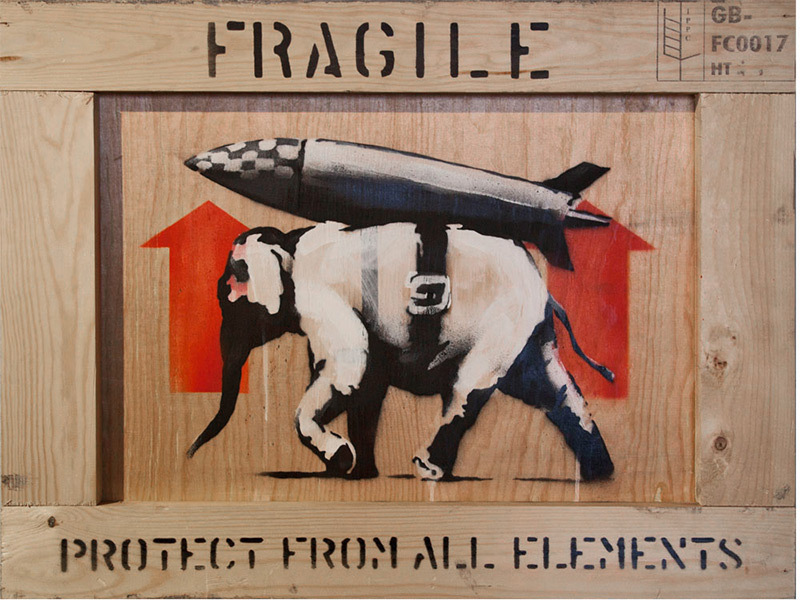 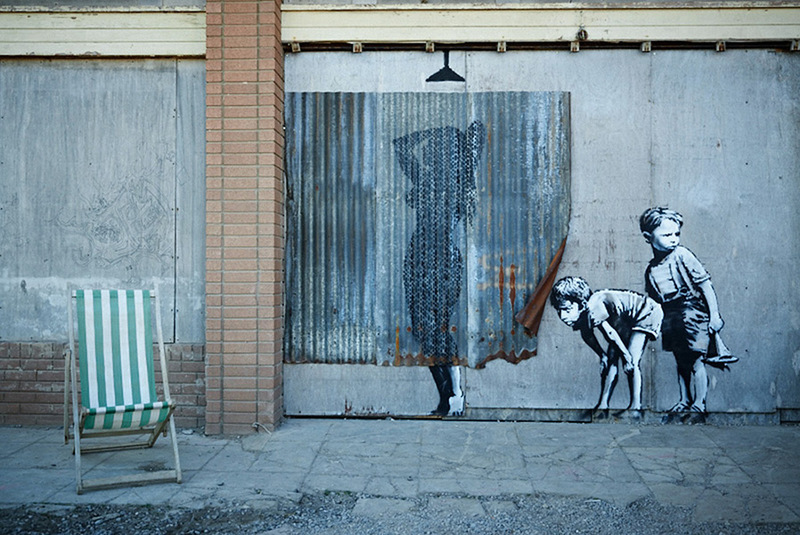 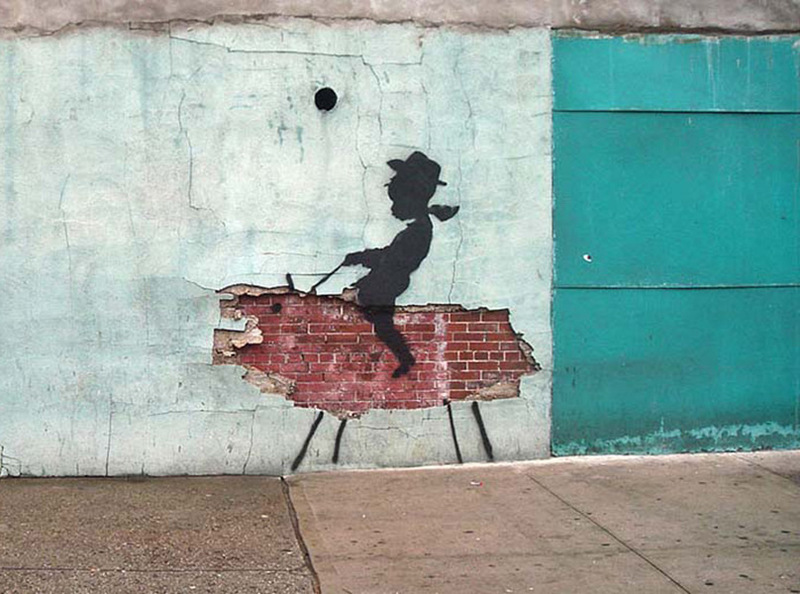 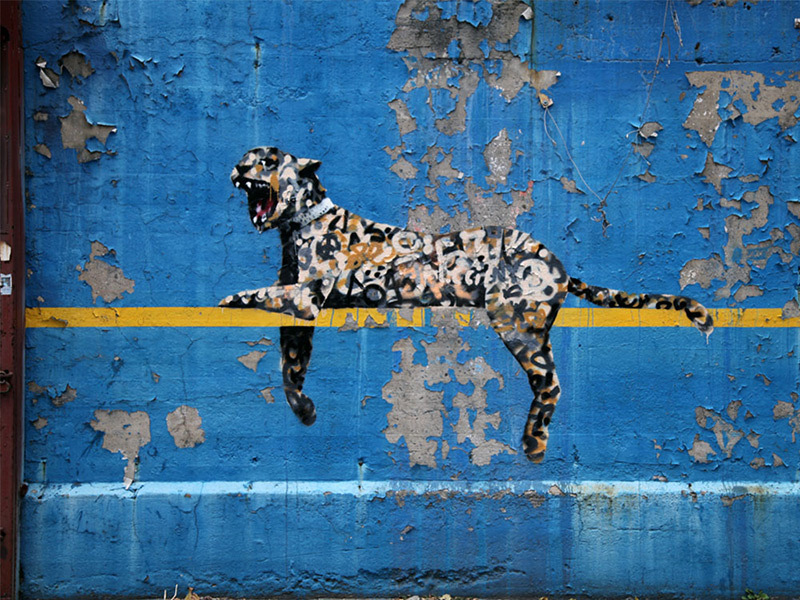 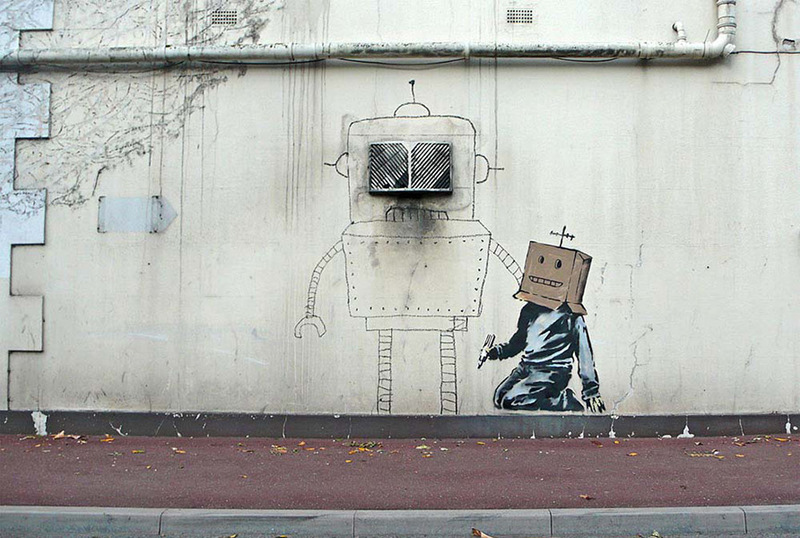 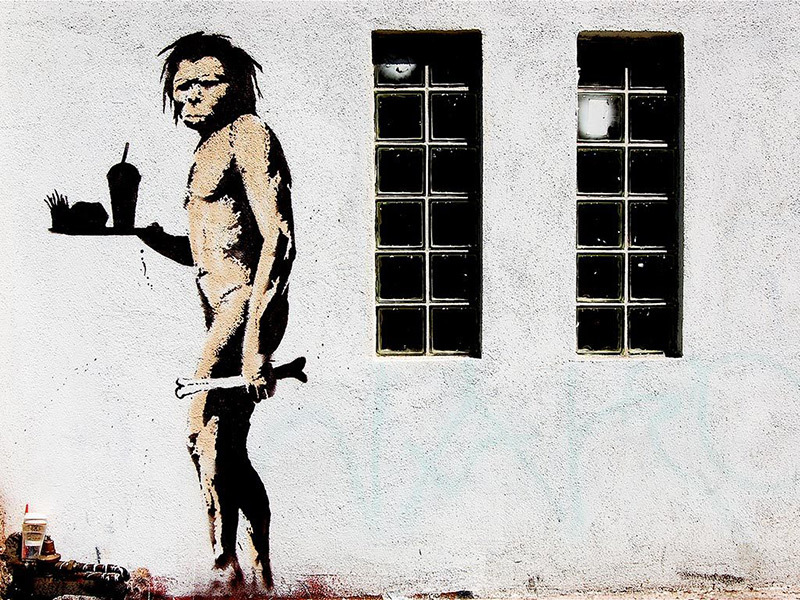 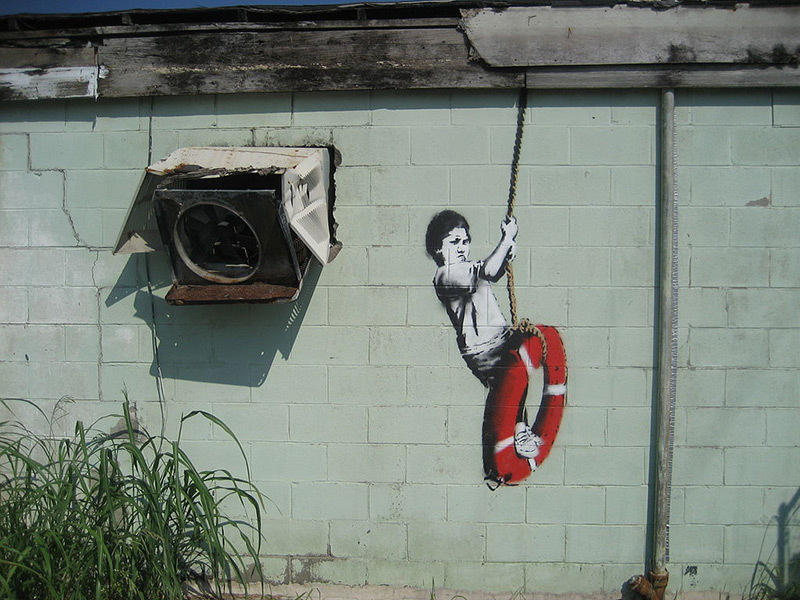 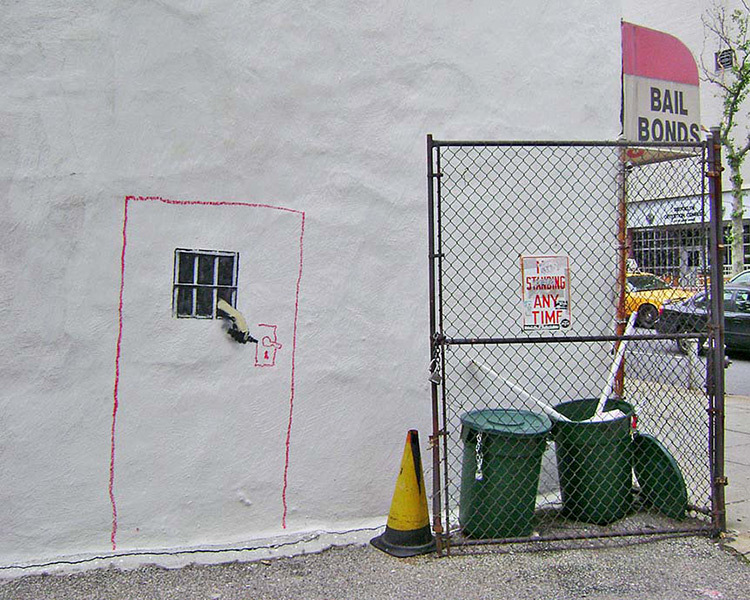 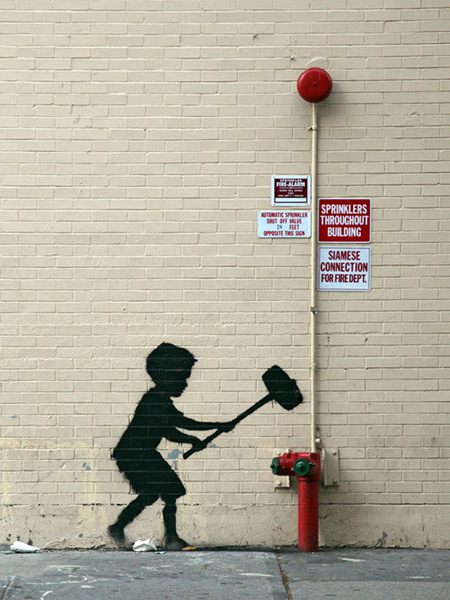 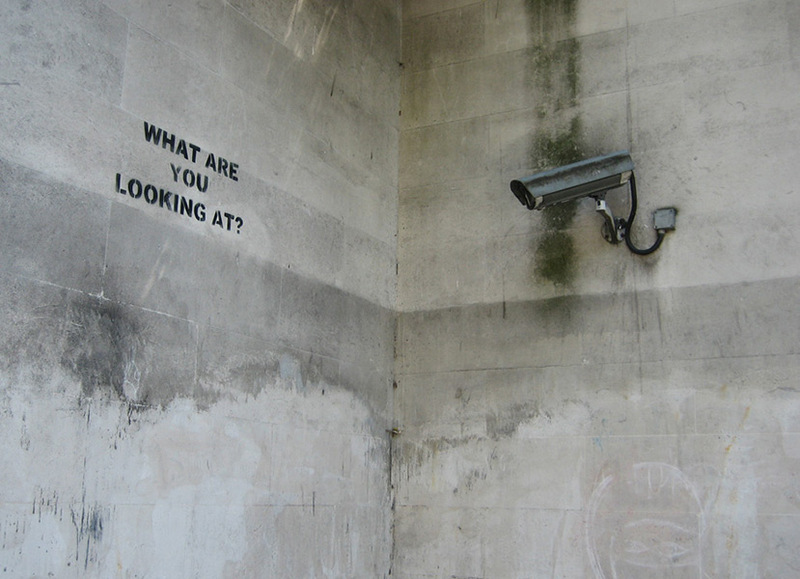 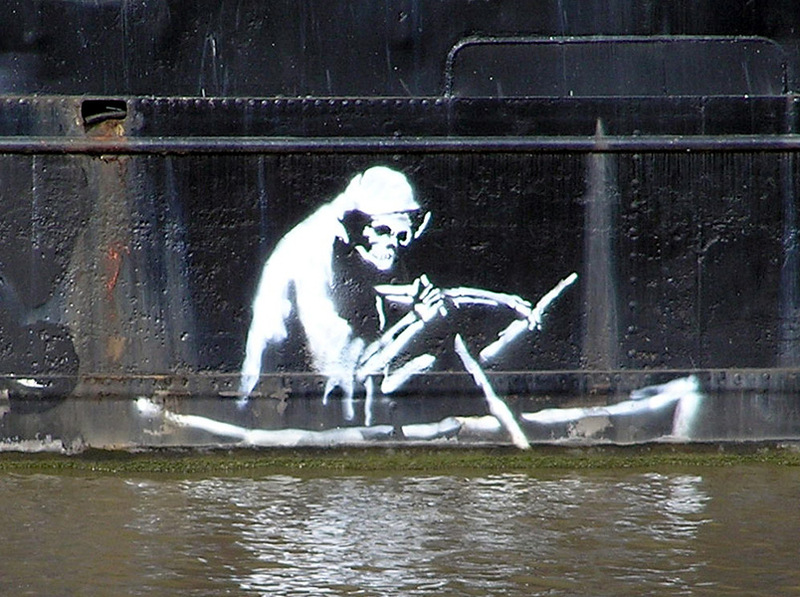 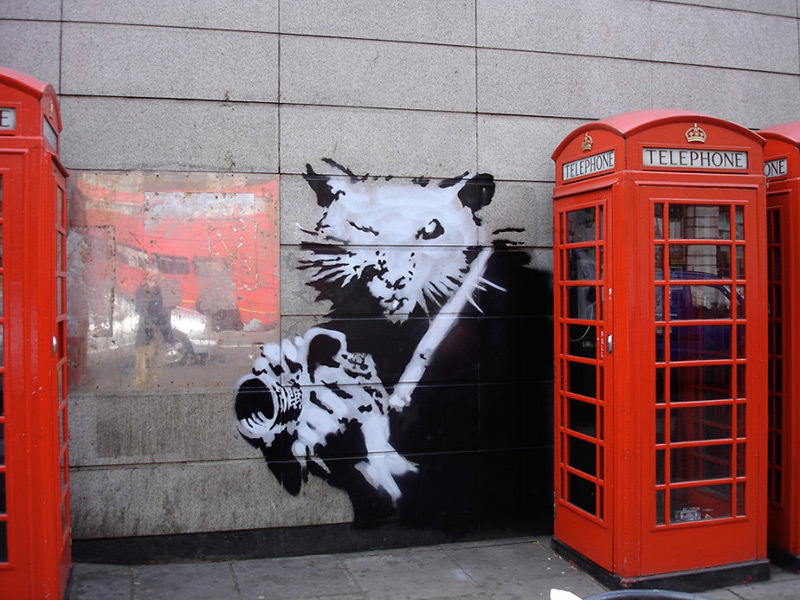 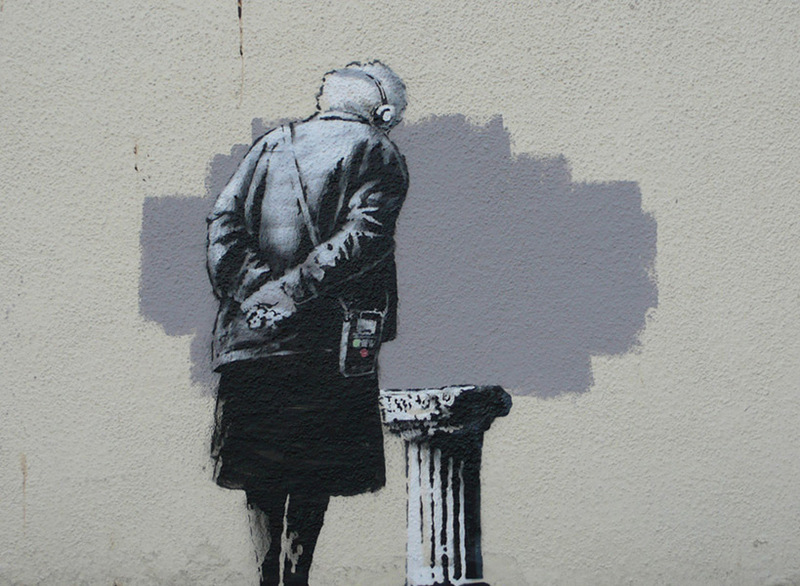 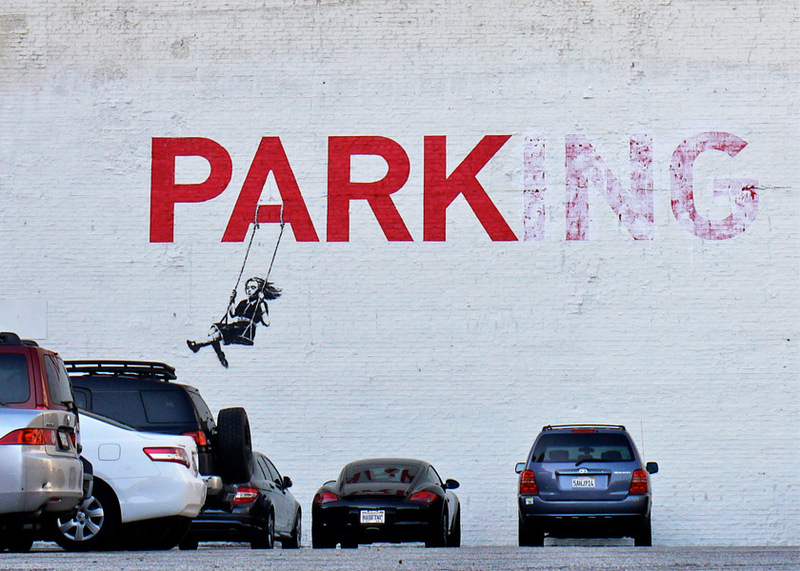 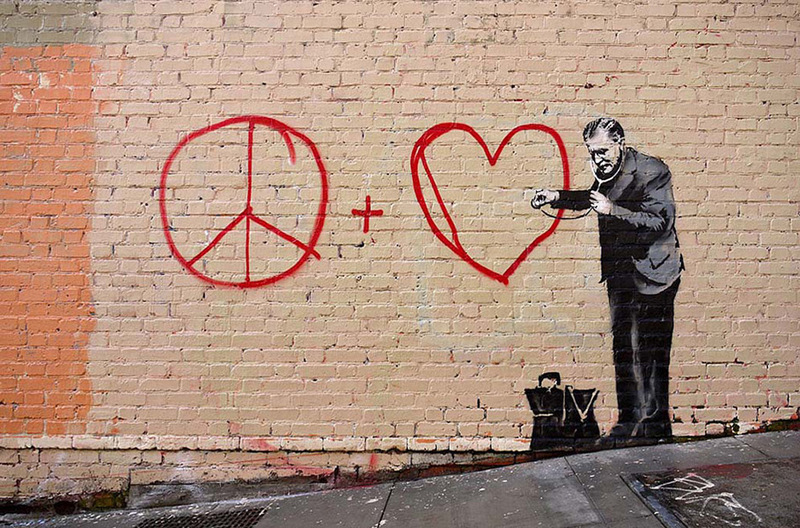 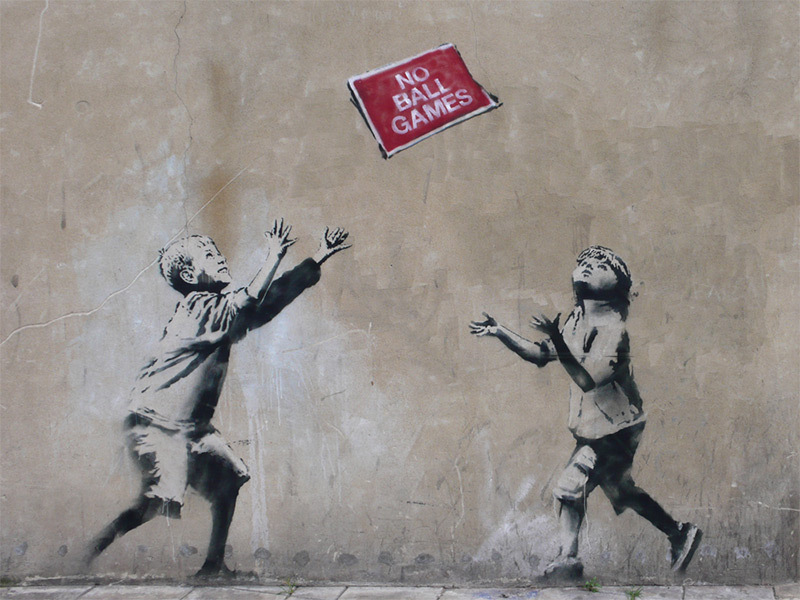 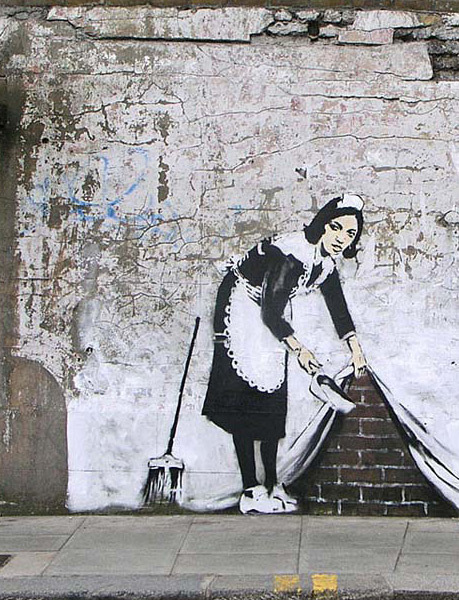 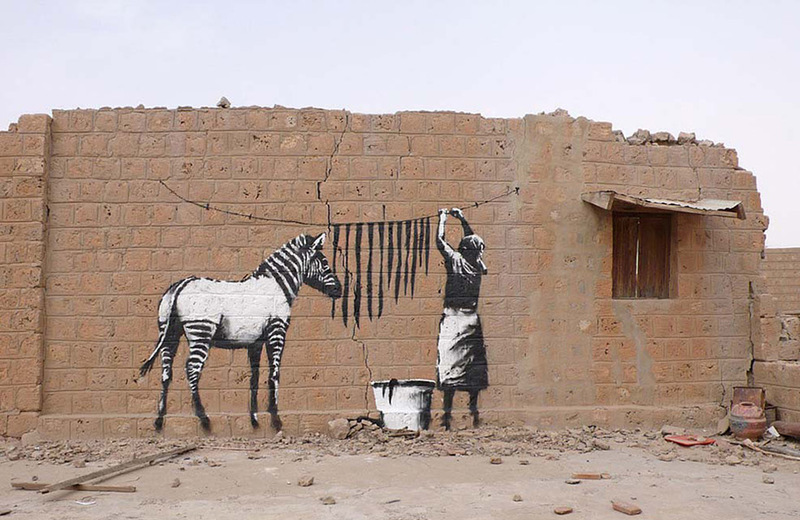 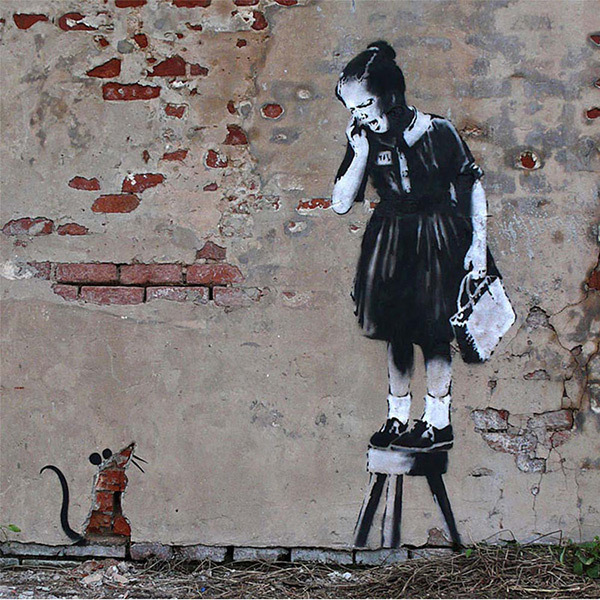 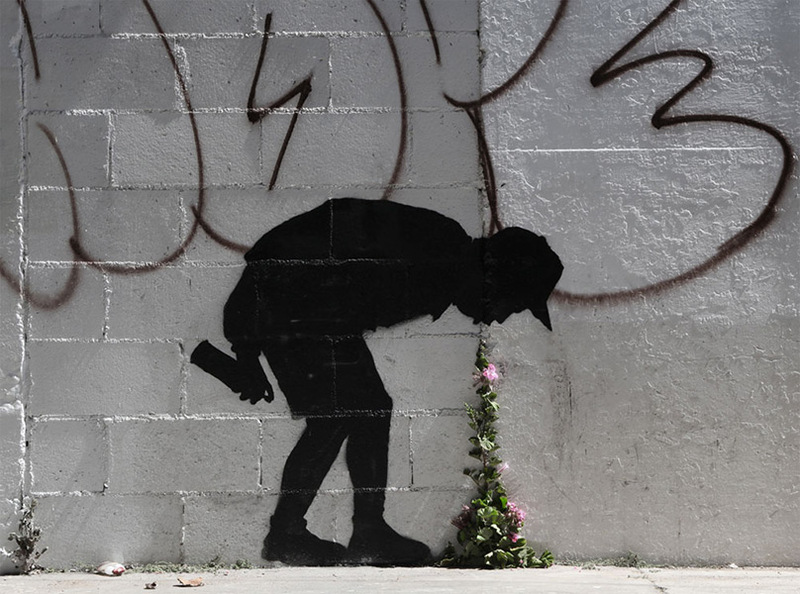 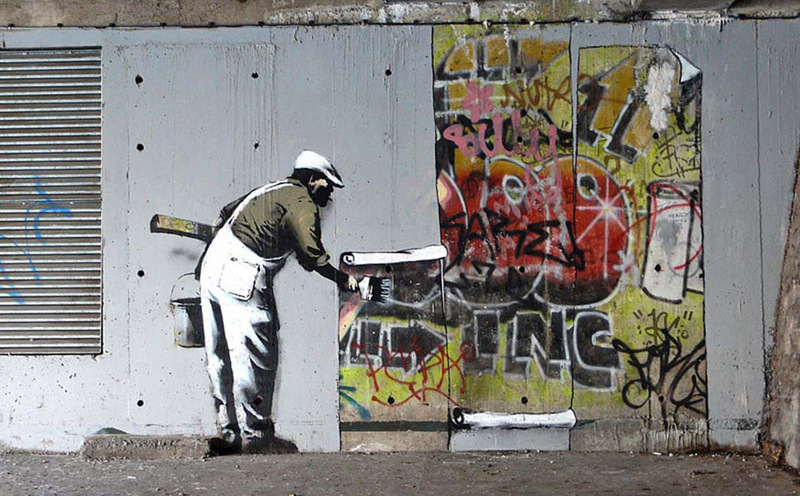 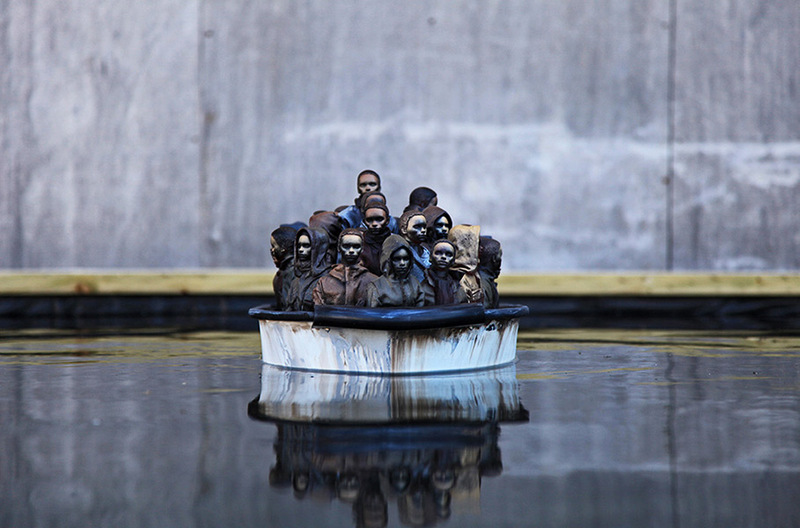 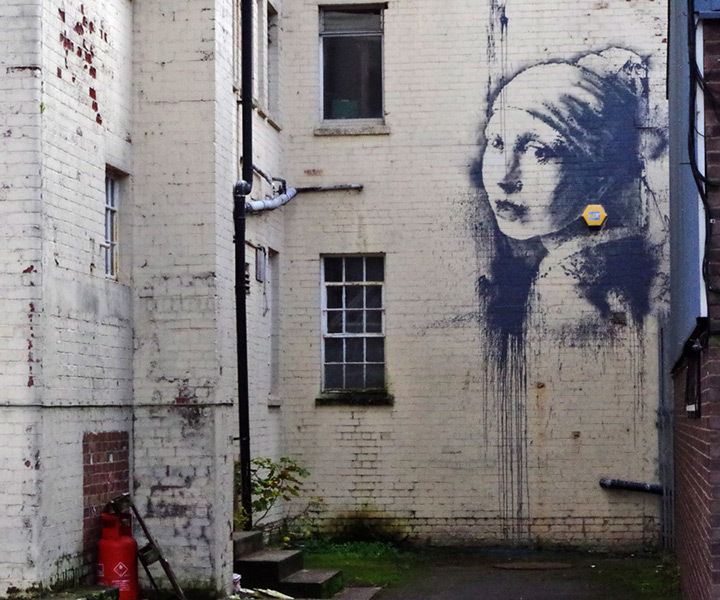 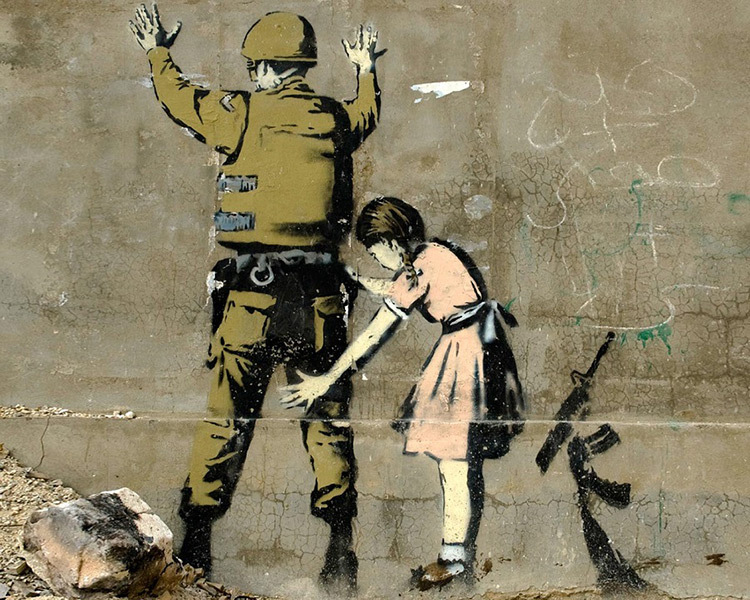 Banksy displays their art on publicly visible surfaces such as walls and self-built physical prop pieces. 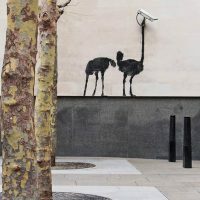 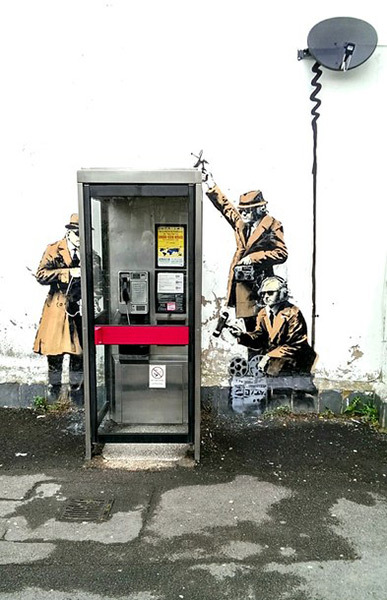 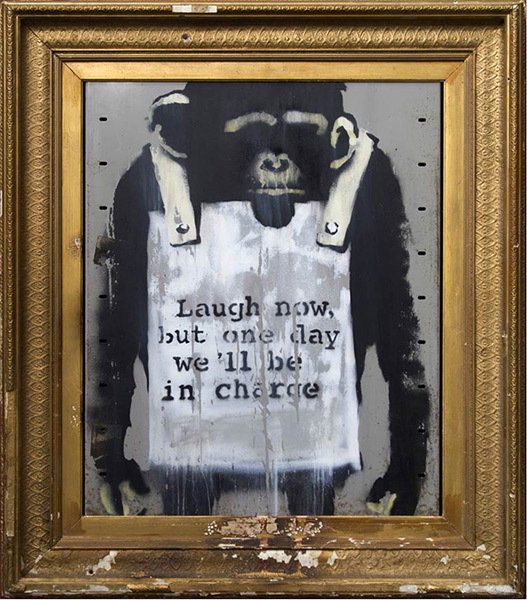 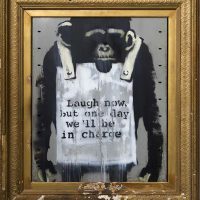 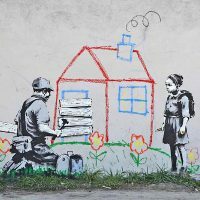 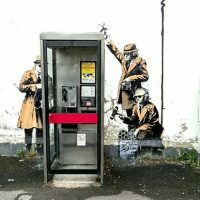 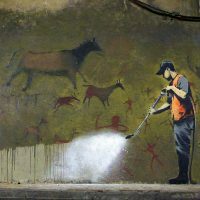 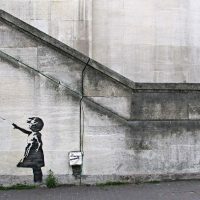 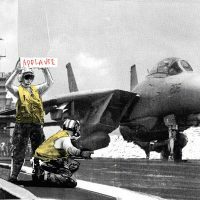 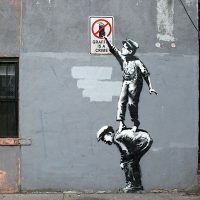 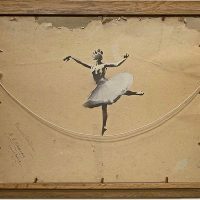 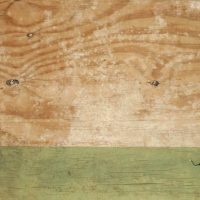 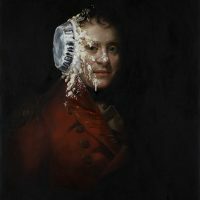 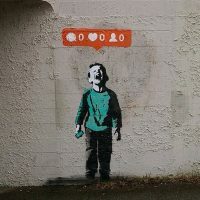 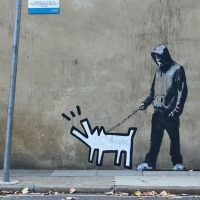 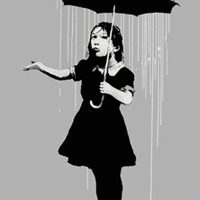 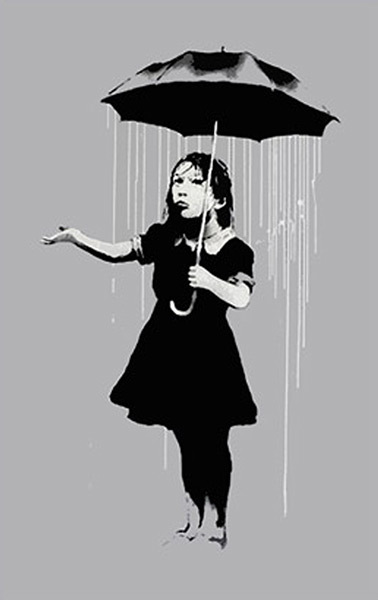 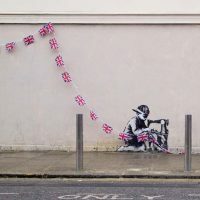 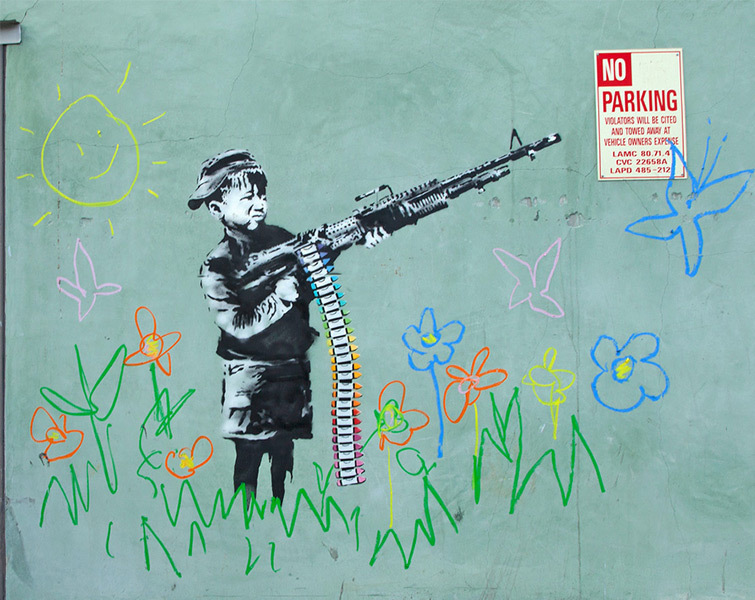 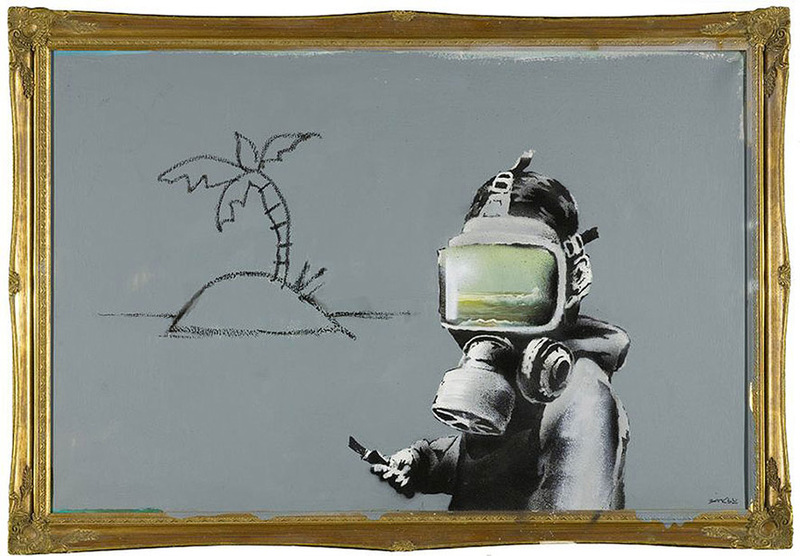 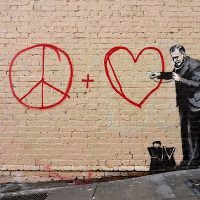 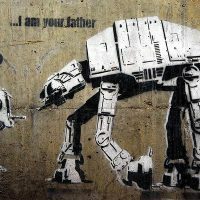 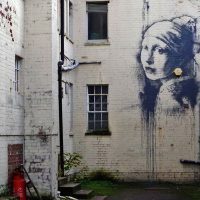 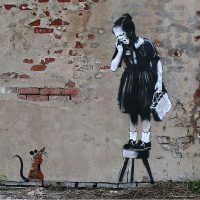 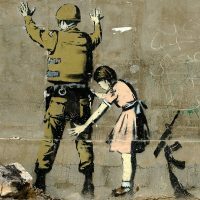 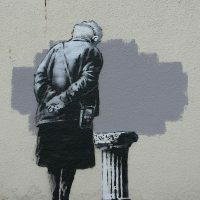 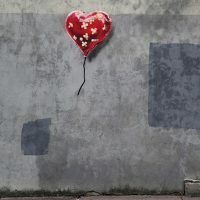 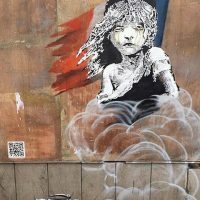 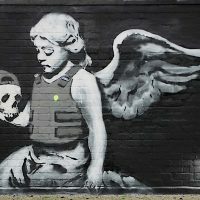 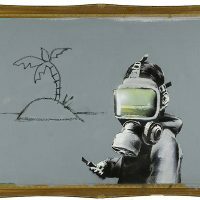 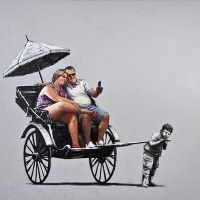 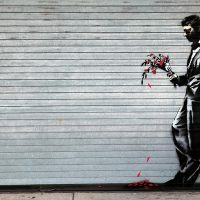 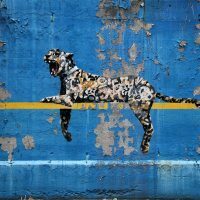 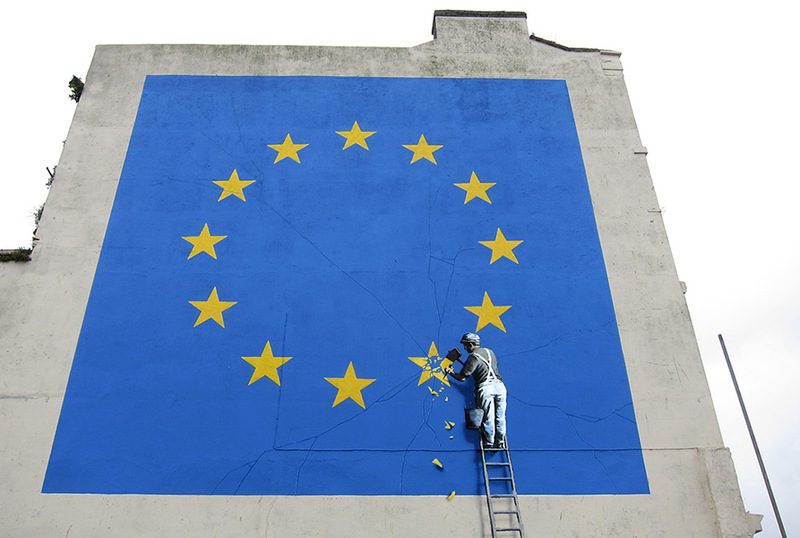 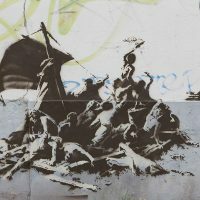 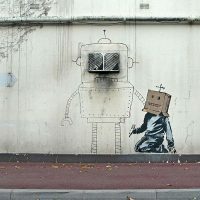 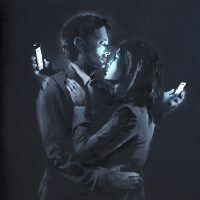 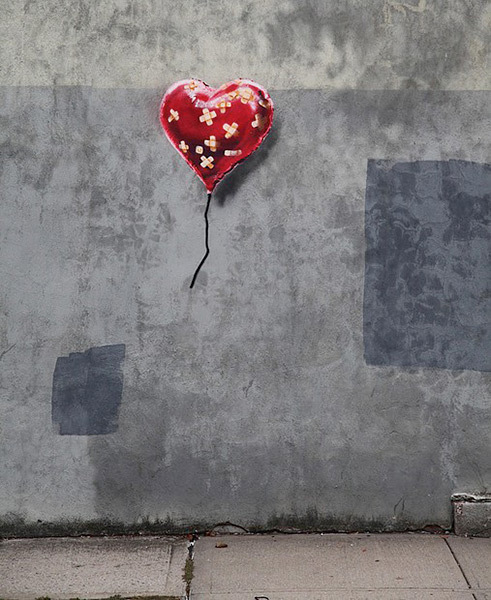 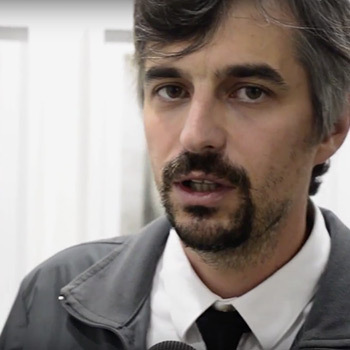 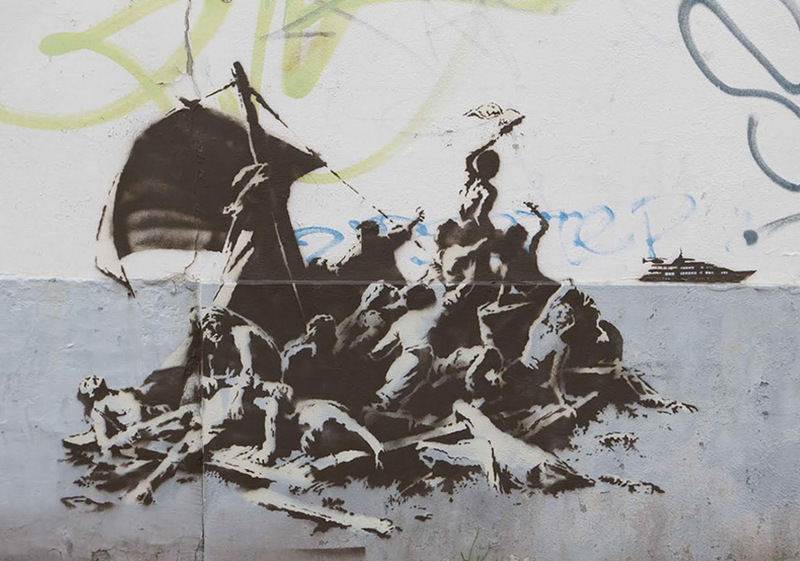 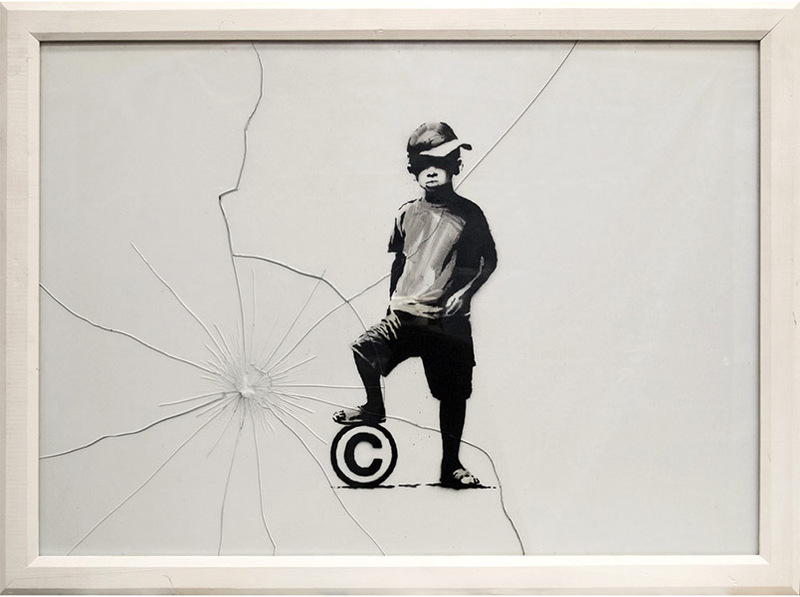 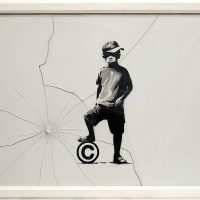 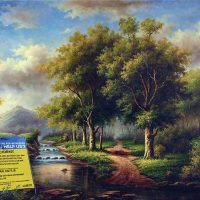 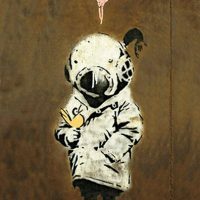 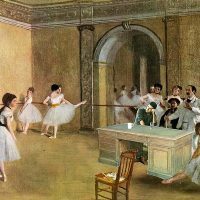 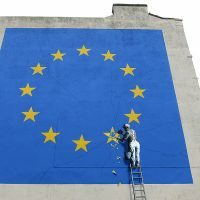 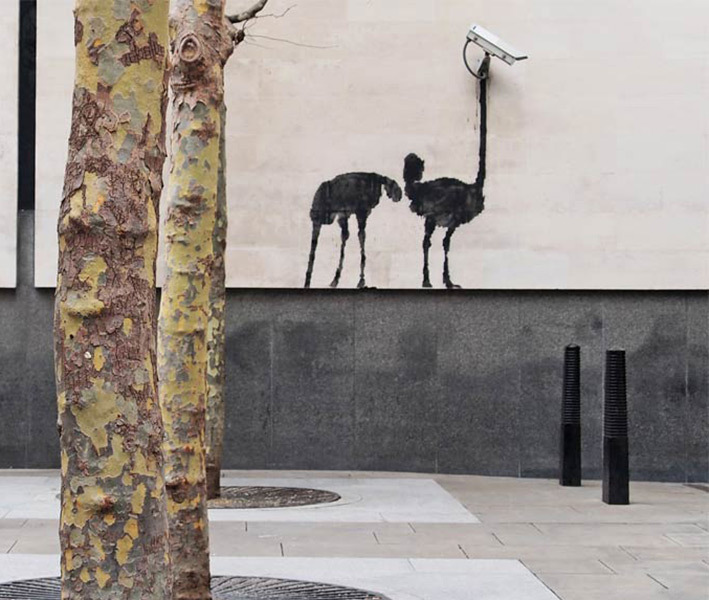 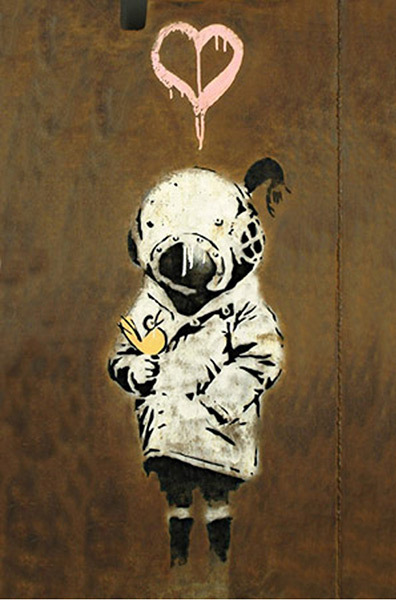 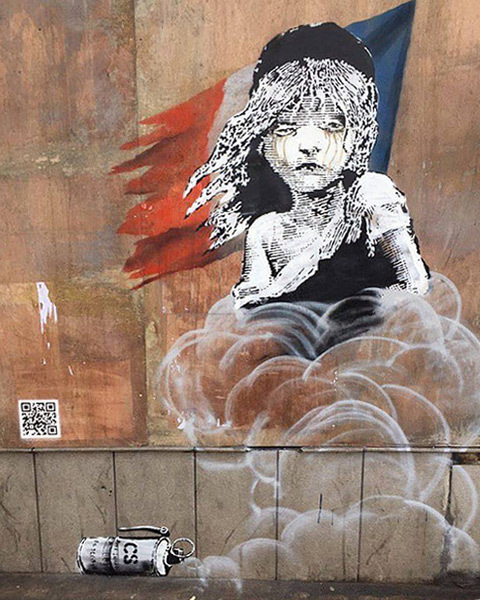 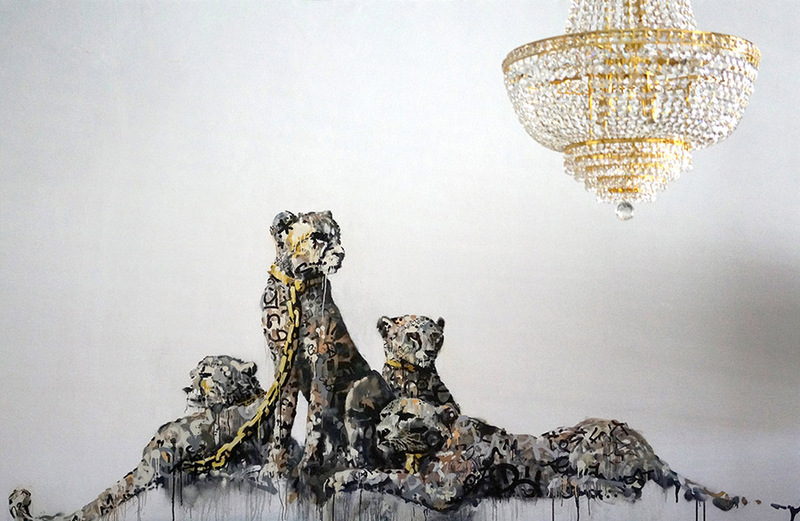 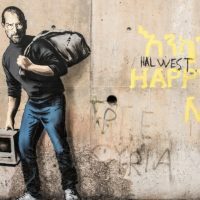 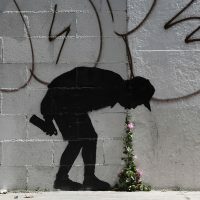 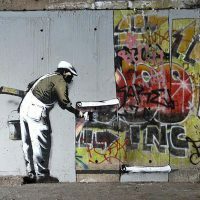 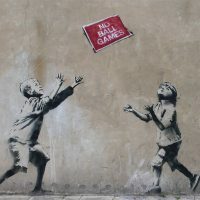 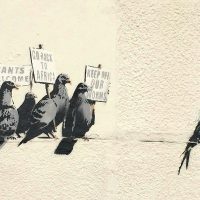 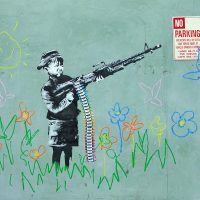 Banksy does not sell photographs or reproductions of their street graffiti, but art auctioneers have been known to attempt to sell the street art on location and leave the problem of its removal in the hands of the winning bidder. 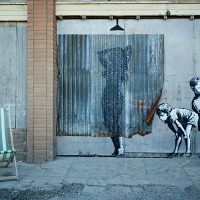 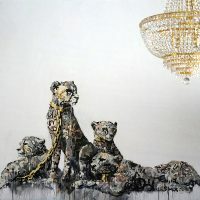 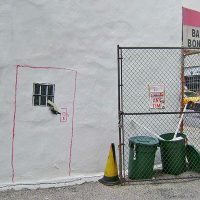 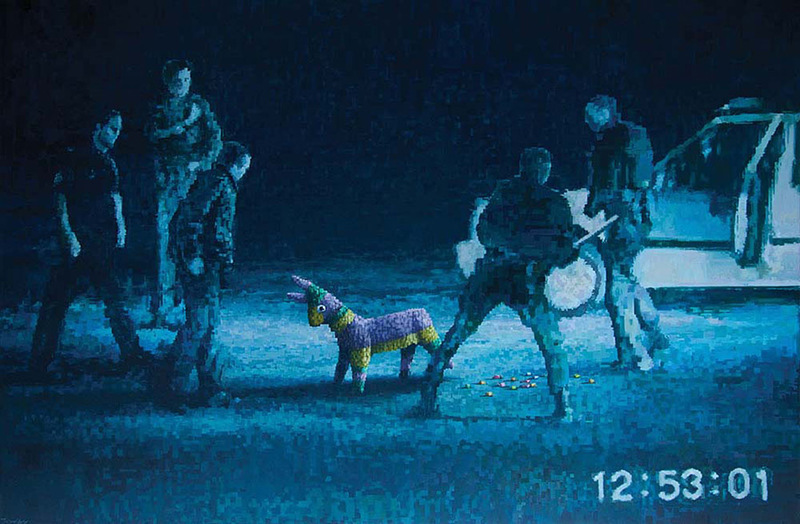 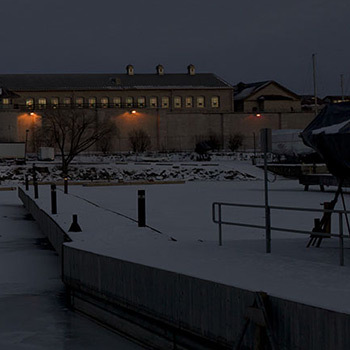 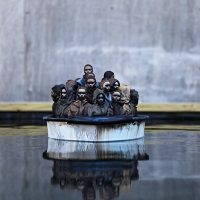 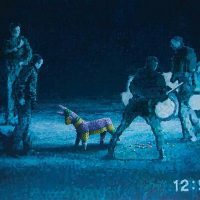 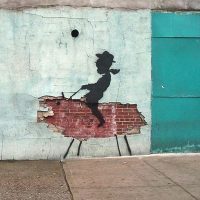 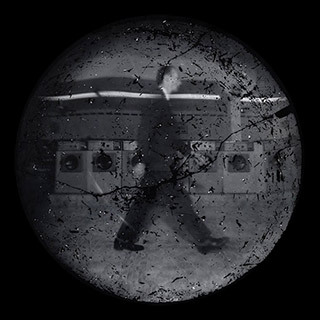 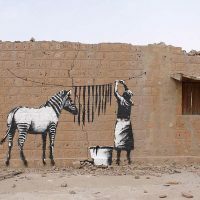 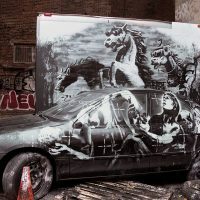 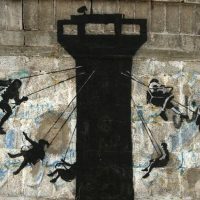 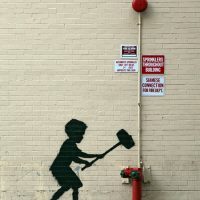 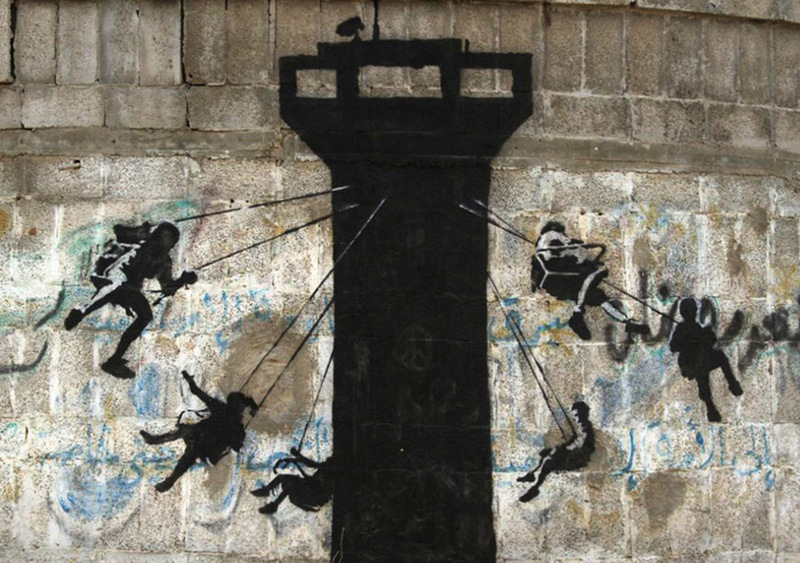 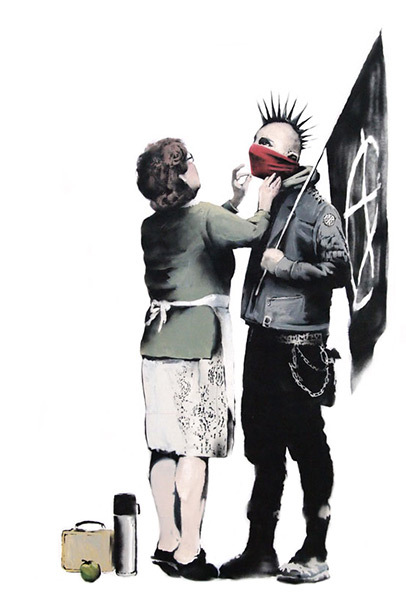 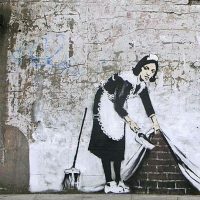 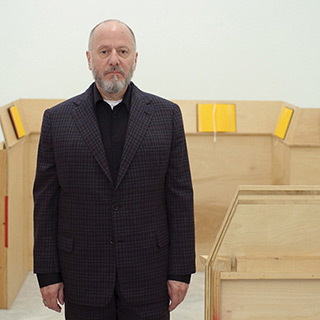 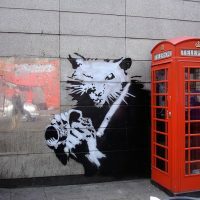 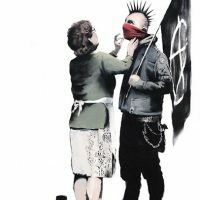 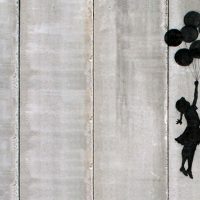 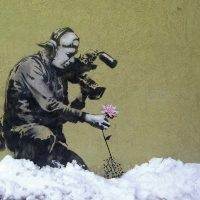 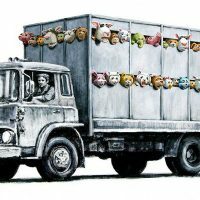 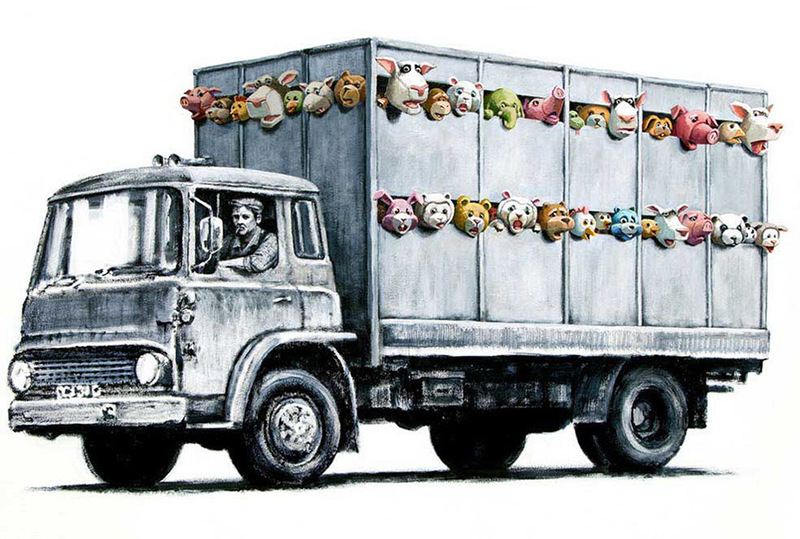 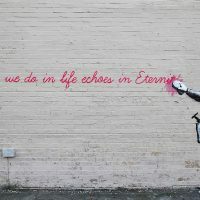 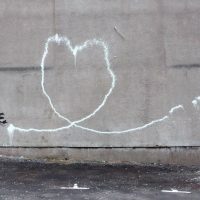 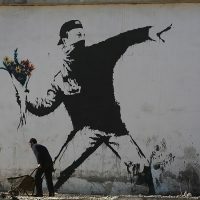 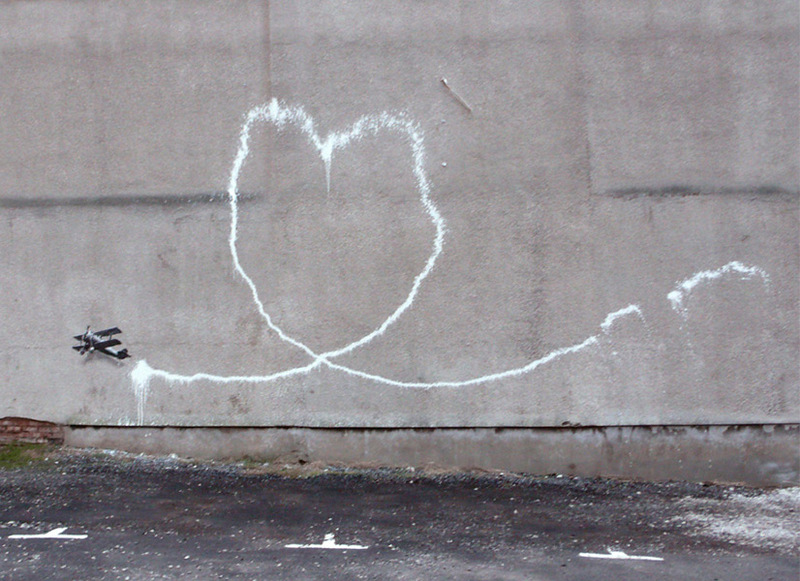 Banksy created a documentary film, Exit Through the Gift Shop, billed as “the world’s first street art disaster movie”, which made its debut at the 2010 Sundance Film Festival. 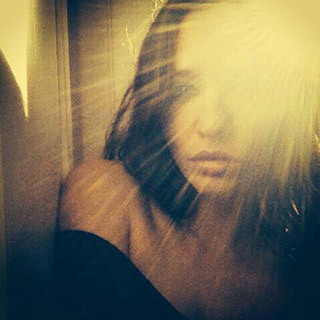 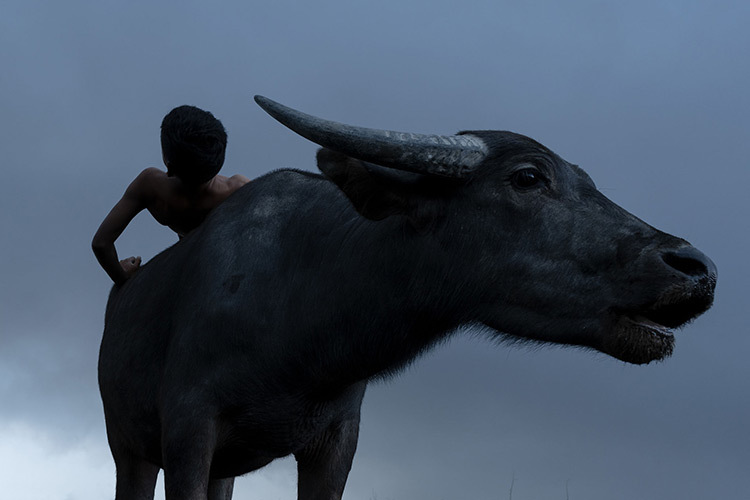 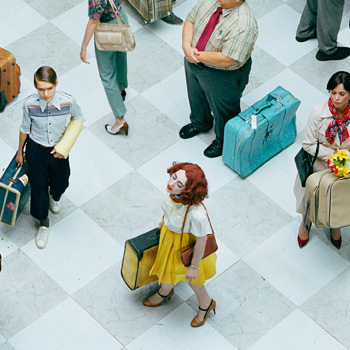 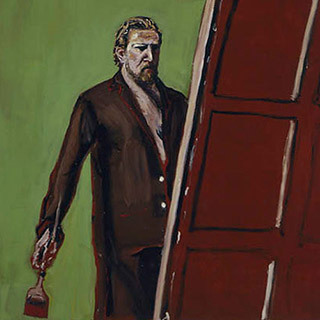 The film was released in the UK on 5 March 2010. 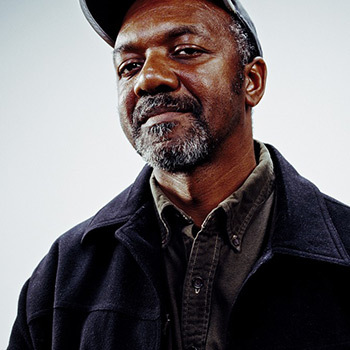 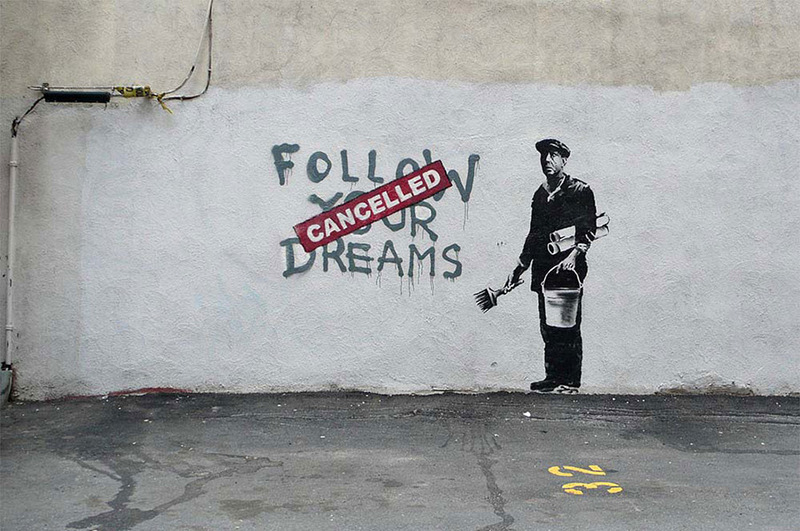 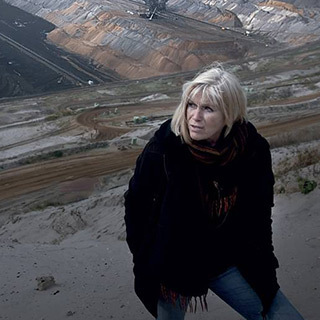 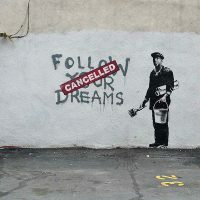 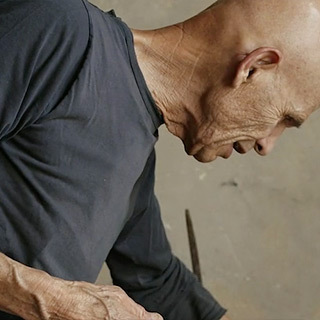 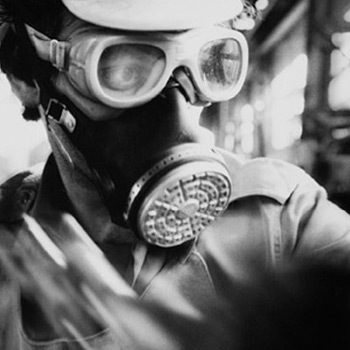 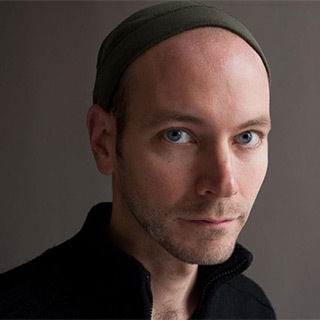 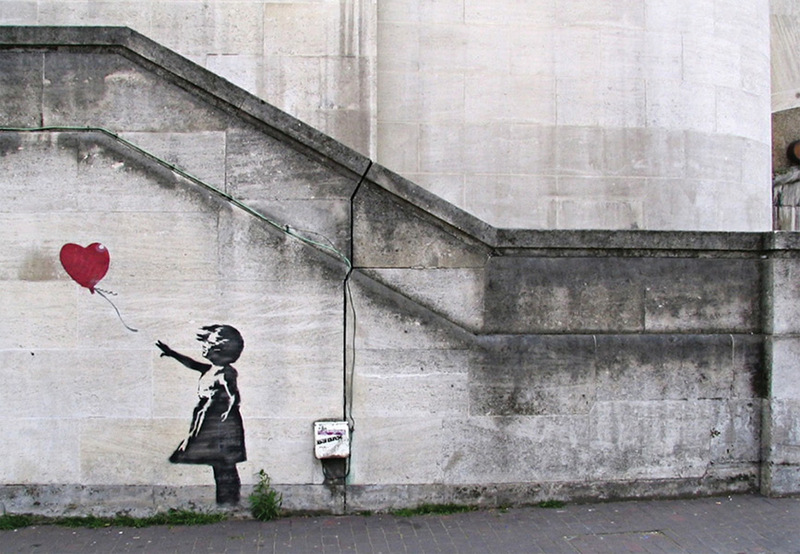 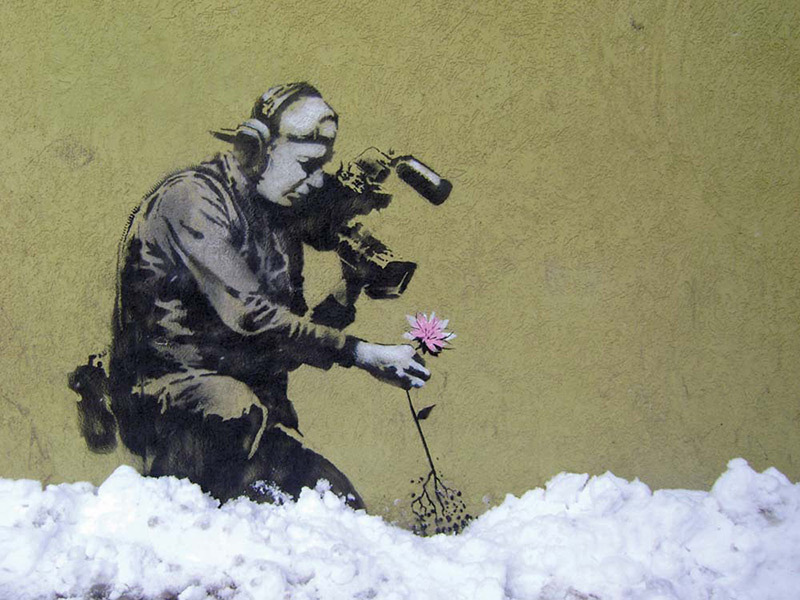 In January 2011, Banksy was nominated for the Academy Award for Best Documentary for the film. 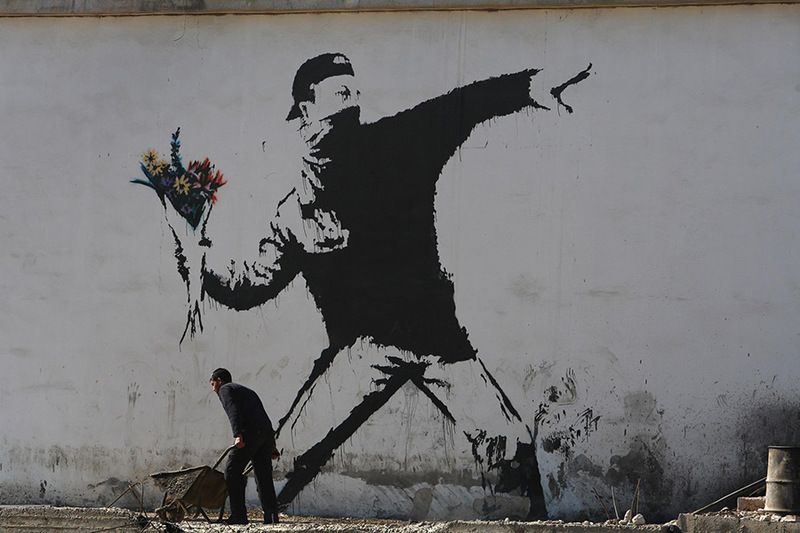 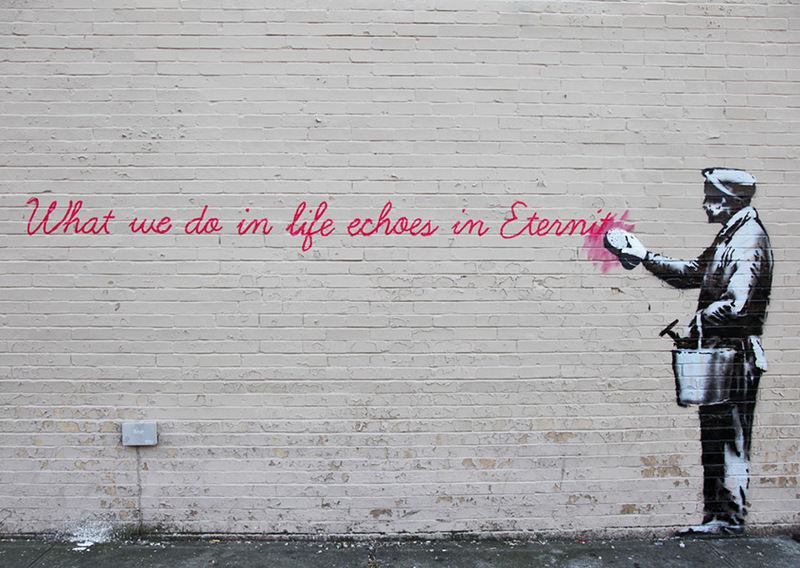 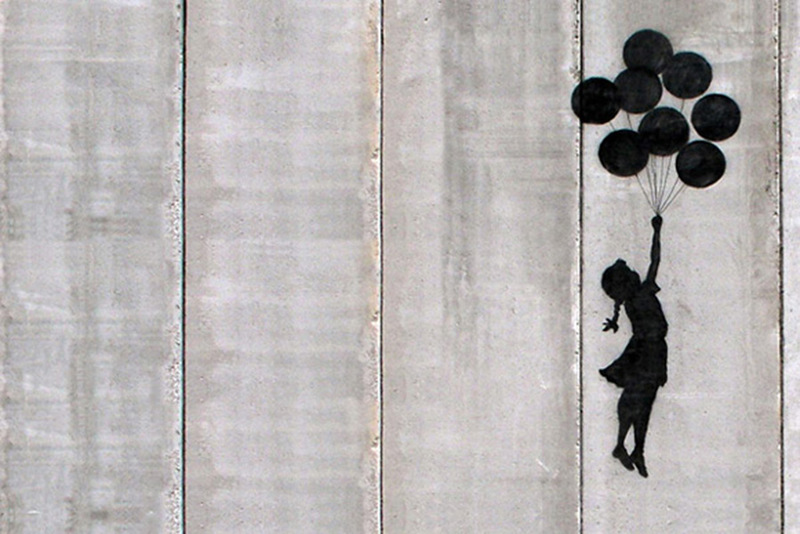 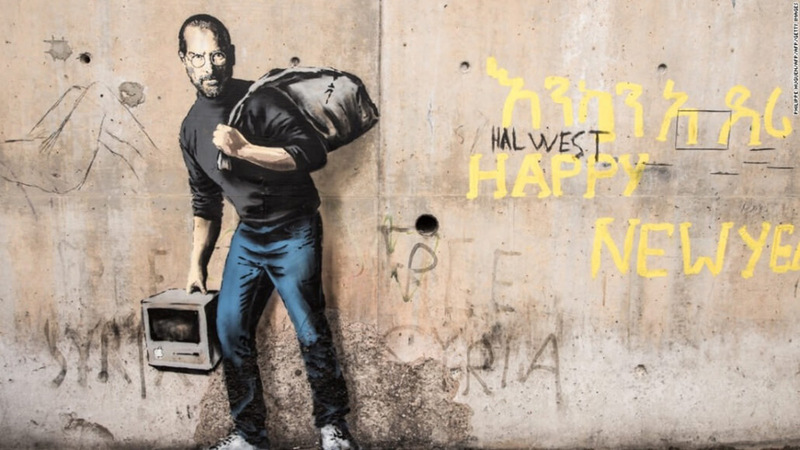 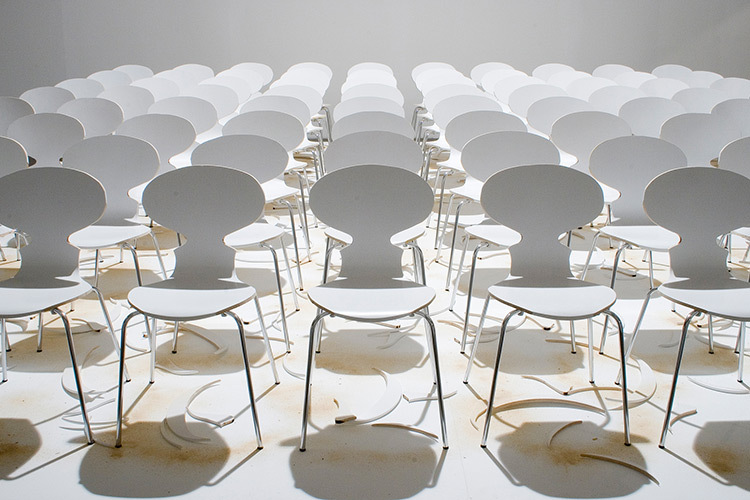 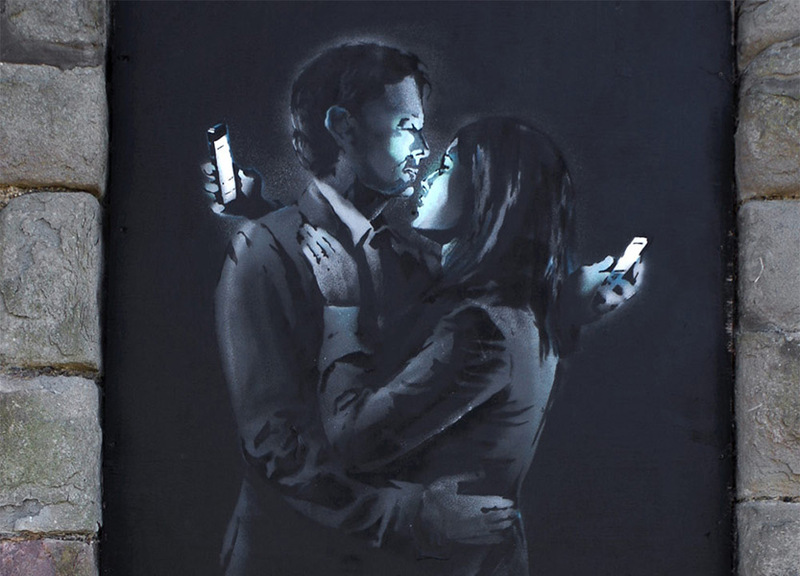 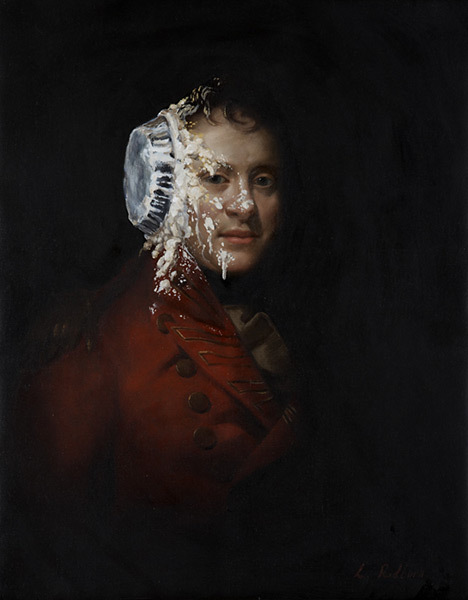 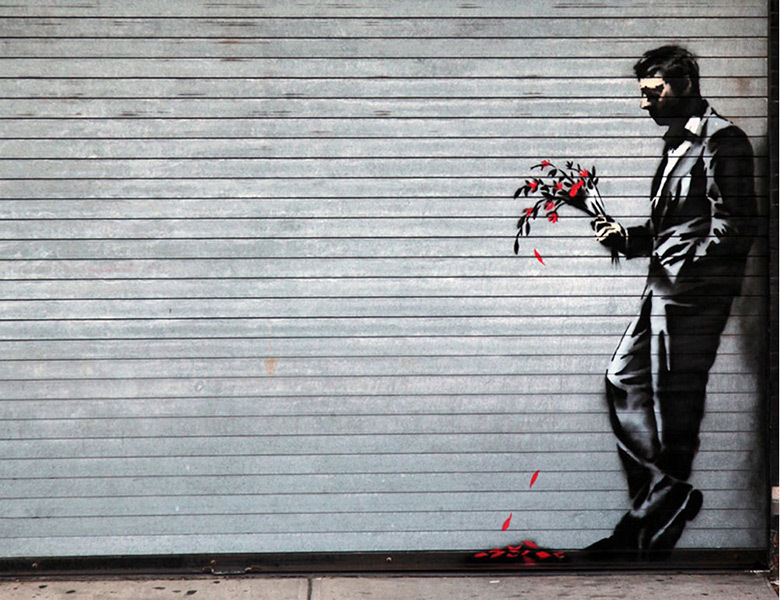 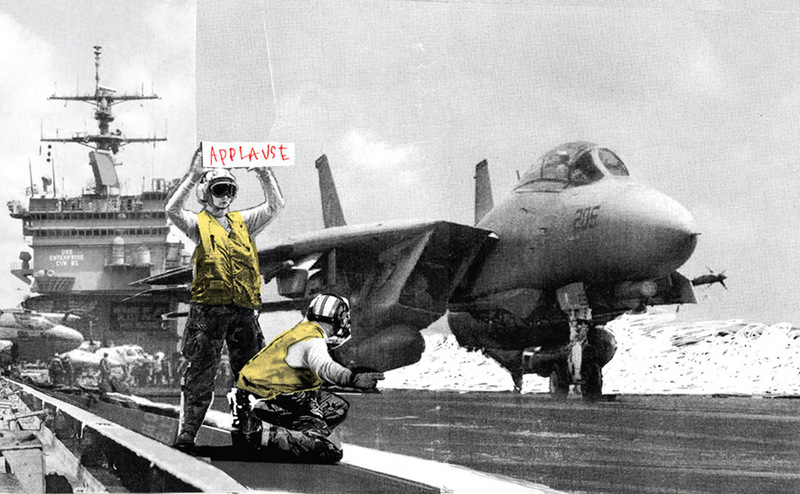 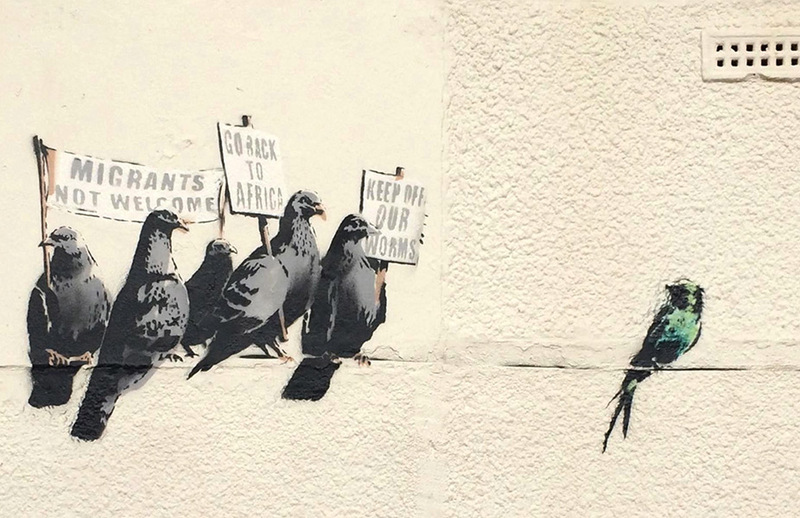 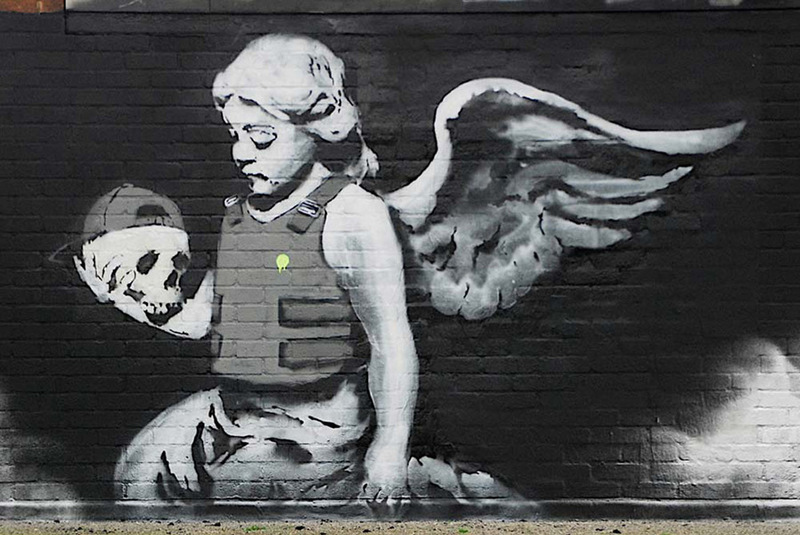 In 2014, Banksy was awarded Person of the Year at the 2014 Webby Awards.